Antonio J. Marques Cardoso (S’89, A’95, SM’99) received the Dipl. Eng., Dr. Eng., and Habilitation degrees from the University of Coimbra, Coimbra, Portugal, in 1985, 1995 and 2008, respectively, all in Electrical Engineering. From 1985 until 2011 he was with the University of Coimbra, Coimbra, Portugal, where he was Director of the Electrical Machines Laboratory. 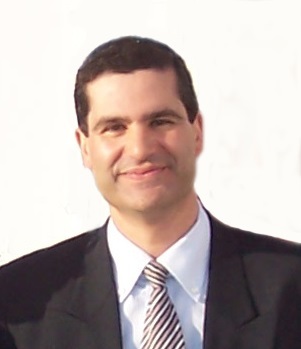 Since 2011 he has been with the University of Beira Interior (UBI), Covilhã, Portugal, where he is Full Professor at the Department of Electromechanical Engineering and Director of CISE - Electromechatronic Systems Research Centre (http://cise.ubi.pt). He was Vice-Rector of UBI (2013-2014). His current research interests are in fault diagnosis and fault tolerance in electrical machines, power electronics and drives. He is the author of a book entitled Fault Diagnosis in Three-Phase Induction Motors (Coimbra, Portugal: Coimbra Editora, 1991), (in Portuguese), editor of a book entitled Diagnosis and Fault Tolerance of Electrical Machines, Power Electronics and Drives (IET/SciTech, UK, 2018) and also author of more than 400 papers published in technical journals and conference proceedings. He currently serves as Associate Editor for the IEEE Transactions on Industry Applications, IEEE Transactions on Industrial Electronics, IEEE Transactions on Power Electronics, IEEE Journal of Emerging and Selected Topics in Power Electronics, and also for the Springer International Journal of Systems Assurance Engineering and Management. Habilitation Degree, Electrical Engineering, University of Coimbra, Coimbra, Portugal, 2008. Dr. Eng., Electrical Engineering, University of Coimbra, Coimbra, Portugal, 1995. Electrical Eng. Diploma, Electrical Engineering, University of Coimbra, Coimbra, Portugal, 1985. Cardoso, A. J. M.: ''Diagnosis and Fault Tolerance of Electrical Machines, Power Electronics and Drives''; IET - The Institution of Engineering and Technology (978-1-78561-531-3), London, UK, 2018. Vieira, A. C. V.; Cardoso, A. J. M.; Rao, R. B. K. N.: ''COMADEM’07 - Machinery & Process Health Monitoring, Future Trends and Prospects''; Instituto de Telecomunicações (978-98-9-8109-02-6), Coimbra, Portugal, 2007. Cardoso, A. J. M.: ''Diagnóstico de Avarias em Motores de Indução Trifásicos''; Coimbra Editora (972-32-0452-5), Coimbra, Portugal, 1991. Cardoso, A. J. M.: ''Introduction''; Diagnosis and Fault Tolerance of Electrical Machines, Power Electronics and Drives, A. J. M. Cardoso (Editor), , 1-6 pp., IET - The Institution of Engineering and Technology (978-1-78561-531-3), London, UK, 2018. Ribeiro, E. F. F.; Cardoso, A. J. M.; Chiara Boccaletti: ''Reliability Issues of Renewable Energy Based Power Systems''; Renewable Energy: Selected Issues Volume II, Manuel Pérez-Donsión, Silvano Vergura and Gianpaolo Vitale (Editor), , 591-603 pp., Cambridge Scholars Publishing (978-1-4438-8377-1), Newcastle Upon Tyne, UK, 2016. Matos, D. M. B.; Estima, J. O.; Cardoso, A. J. M.: ''Fault Analysis of Three-Level NPC Inverters in Synchronous Reluctance Motor Drives''; Technological Innovation for Cyber-Physical Systems, Luís M. Camarinha-Matos, António J. Falcão, Nazanin Vafaei and Shirin Najdi (Editor), , 206-216 pp., Springer International Publishing (978-3-319-31164-7), Cham, Switzerland, 2016. Oliveira, L. M. R.; Cardoso, A. J. M.: ''Modeling and Characterization of Leakage Inductances for Transformer Winding Fault Studies''; Technological Innovation for the Internet of Things, Luís M. Camarinha-Matos, Slavisa Tomic and Paulo Graça (Editor), , 423-430 pp., Springer Berlin Heidelberg (978-3-642-37290-2), Berlin, Germany, 2013. Oliveira, L. M. R.; Cardoso, A. J. M.: ''Power Transformers Differential Protection Using the p-q Power Theory''; Technological Innovation for Value Creation, Luís M. Camarinha-Matos, Ehsan Shahamatnia and Gonçalo Nunes (Editor), , 283-290 pp., Springer Berlin Heidelberg (978-3-642-28254-6), Berlin, Germany, 2012. Freire, N. M. A.; Ribeiro, E. F. F.; Cardoso, A. J. M.; Chiara Boccaletti: ''Experimental Analysis of a Standalone Renewable Energy Based Hybrid System''; Technological Innovation for Value Creation, Luís M. Camarinha-Matos, Ehsan Shahamatnia and Gonçalo Nunes (Editor), 1, 337-344 pp., Springer Berlin Heidelberg (978-3-642-28254-6), Berlin, Germany, 2012. Cardoso, A. J. M.; Oliveira, L. M. R.: ''Power Transformers Fault Diagnostics by Park’s Vector Approach''; Transformers: Analysis, Design, and Measurement, Xose M. López-Fernández, H. Bülent Ertan and Janusz Turowski (Editor), , 287-310 pp., CRC Press (978-1-466-50824-8), Boca Raton, USA, 2012. Estima, J. O.; Cardoso, A. J. M.: ''Comparison of Different Modulation Strategies Applied to PMSM Drives Under Inverter Fault Conditions''; Technological Innovation for Sustainability, Luís M. Camarinha-Matos (Editor), , 493-501 pp., Springer (978-3-642-19169-5), Boston, USA, 2011. Pérez, A. A.; Vieira, A. C. V.; Cardoso, A. J. M.: ''School Buildings Assets - Maintenance Management and Organization for Vertical Transportation Equipments''; Engineering Asset Lifecycle Management, D. Kiritsis, C. Emmanouilidis, A. Koronios and J. Mathew (Editor), , 59-67 pp., Springer (978-1-84996-002-1), London, UK, 2010. Vieira, A. C. V.; Cardoso, A. J. M.: ''Asset Management of Portuguese Educational Facilities''; Definitions, Concepts and Scope of Engineering Asset Management, J. E. Amadi-Echendu, K. Brown, R. Willet and J. Mathew (Editor), , 277-295 pp., Springer (978-1-84996-177-6), London, UK, 2010. Figueiredo Ramos, C. A.; Cardoso, A. J. M.; Alcaso, A. N.: ''Hybrid Photovoltaic-Thermal Collectors: A Review''; Emerging Trends in Technological Innovation, Luis M. Camarinha (Editor), 1, 477-484 pp., Springer (978-3-642-11627-8), Lisbon, Portugal, 2010. Ribeiro, E. F. F.; Cardoso, A. J. M.; Chiara Boccaletti: ''Fuel Cell Systems for Telecommunication''; Emerging Trends in Technological Innovation, Luís M. Camarinha-Matos, Pedro Pereira and Luís Ribeiro (Editor), 1, 469-476 pp., Springer (978-3-642-11627-8), Boston, USA, 2010. Lima, R. J. S.; Almeida, A. T.; Mendes, A. M. S.; Cardoso, A. J. M.: ''Off-Grid Fuel Cell System for High Power Quality Applications''; Clean Technology 2008, Nano Science & Technology Institute (Editor), -, 517-520 pp., CRC Press (ISBN 978-1-42008-502-0), Cambridge, USA, 2008. Vieira, A. C. V.; Cardoso, A. J. M.: ''Asset Management Characterization of the Portuguese Secondary School Buildings''; Engineering Asset Management, J. Mathew, J. Kennedy, L. Ma, A. Tan and D. Anderson (Editor), , 659-669 pp., Springer (978-1-84628-814-2), London, UK, 2006. Cruz, S. M. A.; Cardoso, A. J. M.: ''Discriminating Between Rotor Asymmetries and Time-Varying Loads in Three-Phase Induction Motors''; Condition Monitoring and Diagnostic Engineering Management, Andrew G. Starr and Raj B. K. N. Rao (Editor), , 319-327 pp., Elsevier Science Ltd. (0 08 0440363), Oxford, UK, 2001. Cruz, S. M. A.; Cardoso, A. J. M.: ''Diagnostics of the Simultaneous Occurrence of Multiple Induction Motor Faults, by the Extended Park’s Vector Approach''; Condition Monitoring and Diagnostic Engineering Management, J. D. McIntyre & Raj B. K. N. Rao (Editor), , 17-24 pp., Coxmoor Publishing Company (1 901892 13 1), Oxford, UK, 1999. Jlassi, I.; Cardoso, A. J. M.: ''Fault-Tolerant Back-to-Back Converter for Direct-Drive PMSG Wind Turbines using Direct Torque and Power Control Techniques''; IEEE Transactions on Power Electronics, Vol. , No. Early Access, pp. 1-1, January, 2019. Silva, L. H. S.; Sguarezi Filho, A. J.; Fernandes, D. A.; Costa, F. F.; Cardoso, A. J. M.: ''A Robust Phase-Locked Loop Against Fundamental Frequency Deviations and Harmonic Distortions''; Electric Power Systems Research, Vol. 163, No. A, pp. 338-347, October, 2018. Bento, F. J. F.; Cardoso, A. J. M.: ''A Comprehensive Survey on Fault Diagnosis and Fault Tolerance of DC-DC Converters''; Chinese Journal of Electrical Engineering, Vol. 4, No. 3, pp. 1-12, September, 2018. Moscatiello, C.; Chiara Boccaletti; Alcaso, A. N.; Figueiredo Ramos, C. A.; Cardoso, A. J. M.: ''Performance Evaluation of a Hybrid Thermalphotovoltaic Panel''; IEEE Transactions on Industry Applications, Vol. 53, No. 6, pp. 5753-5759, November / December, 2017. Gyftakis, K. N.; Cardoso, A. J. M.; Antonino-Daviu, J. A.: ''Introducing the Filtered Park’s and Filtered Extended Park’s Vector Approach to Detect Broken Rotor Bars in Induction Motors Independently from the Rotor Slots Number''; Mechanical Systems and Signal Processing, Vol. 93, No. , pp. 30-50, September, 2017. Jlassi, I.; Estima, J. O.; El Khil, S. K.; Bellaaj, N. M.; Cardoso, A. J. M.: ''A Robust Observer-Based Method for IGBTs and Current Sensors Fault Diagnosis in Voltage-Source Inverters of PMSM Drives''; IEEE Transactions on Industry Applications, Vol. 53, No. 3, pp. 2894-2905, May / June, 2017. Cardoso, A. J. M.: ''Guest Editorial Special Issue on Fault Diagnosis of Electric Machines, Power Electronics, and Drives''; IEEE Transactions on Industry Applications, Vol. 53, No. 3, pp. 2655-2656, May / June, 2017. Drif, M.; Kim, H.; Kim, J.; Lee, S. B.; Cardoso, A. J. M.: ''Active and Reactive Power Spectra-Based Detection and Separation of Rotor Faults and Low Frequency Load Torque Oscillations''; IEEE Transactions on Industry Applications, Vol. 53, No. 3, pp. 2702-2710, May / June, 2017. Oliveira, L. M. R.; Cardoso, A. J. M.: ''Comparing Power Transformer Turn-to-Turn Faults Protection Methods: Negative Sequence Component Versus Space Vector Algorithms''; IEEE Transactions on Industry Applications, Vol. 53, No. 3, pp. 2817-2825, May / June, 2017. Amaral, A. M. R.; Cardoso, A. J. M.: ''Voltage Doubler for AC-DC Step-Up Linear Power Supplies: Design, Modelling and Simulation''; Acta Electrotechnica et Informatica, Vol. 16, No. 4, pp. 3-10, December, 2016. Saraiva, L. M. G.; Alcaso, A. N.; Vieira, P. A. A.; Figueiredo Ramos, C. A.; Cardoso, A. J. M.: ''Development of a Cloud-Based System for Remote Monitoring of a PVT Panel''; Open Engineering, Vol. 6, No. 1, pp. 291-297, October, 2016. El Khil, S. K.; Jlassi, I.; Estima, J. O.; Bellaaj, N. M.; Cardoso, A. J. M.: ''Current Sensor Fault Detection and Isolation Method for PMSM Drives, Using Average Normalized Currents''; Electronics Letters, Vol. 52, No. 17, pp. 1434-1436, August, 2016. Amaral, A. M. R.; Cardoso, A. J. M.: ''Modeling, Simulation and Design of an AC-DC Power Supply''; International Journal on Engineering Applications, Vol. 4, No. 3, pp. 72-82, June, 2016. Gyftakis, K. N.; Antonino-Daviu, J. A.; Garcia-Hernandez, R.; McCulloch, M.; Howey, D. A.; Cardoso, A. J. M.: ''Comparative Experimental Investigation of Broken Bar Fault Detectability in Induction Motors''; IEEE Transactions on Industry Applications, Vol. 52, No. 2, pp. 1452-1459, March / April, 2016. Kim, J.; Shin, S.; Lee, S. B.; Gyftakis, K. N.; Drif, M.; Cardoso, A. J. M.: ''Power Spectrum-Based Detection of Induction Motor Rotor Faults for Immunity to False Alarms''; IEEE Transactions on Energy Conversion, Vol. 30, No. 3, pp. 1123-1132, September, 2015. Oliveira, L. M. R.; Cardoso, A. J. M.: ''Leakage Inductances Calculation for Power Transformers Interturn Fault Studies''; IEEE Transactions on Power Delivery, Vol. 30, No. 3, pp. 1213-1220, June, 2015. Jlassi, I.; Estima, J. O.; El Khil, S. K.; Bellaaj, N. M.; Cardoso, A. J. M.: ''Multiple Open-Circuit Faults Diagnosis in Back-to-Back Converters of PMSG Drives for Wind Turbine Systems''; IEEE Transactions on Power Electronics, Vol. 30, No. 5, pp. 2689-2702, May, 2015. Stabile, A.; Estima, J. O.; Chiara Boccaletti; Cardoso, A. J. M.: ''Converter Power Loss Analysis in a Fault-Tolerant Permanent Magnet Synchronous Motor Drive''; IEEE Transactions on Industrial Electronics, Vol. 62, No. 3, pp. 1984 - 199, March, 2015. Matos, D. M. B.; Estima, J. O.; Yahia, K.; Cardoso, A. J. M.: ''Modeling and Implementation of MTPA Control Strategy for SynRM Variable Speed Drives''; International Review of Electrical Engineering, Vol. 9, No. 6, pp. 1103-1110, November / December, 2014. Freire, N. M. A.; Estima, J. O.; Cardoso, A. J. M.: ''A Voltage-Based Approach without Extra Hardware for Open-Circuit Fault Diagnosis in Closed-Loop PWM AC Regenerative Drives''; IEEE Transactions on Industrial Electronics, Vol. 61, No. 9, pp. 4960 - 497, September, 2014. Ribeiro, E. F. F.; Cardoso, A. J. M.; Chiara Boccaletti: ''Open-Circuit Fault Diagnosis in Interleaved DC-DC Converters''; IEEE Transactions on Power Electronics, Vol. 29, No. 6, pp. 3091-3102, June, 2014. Marques, J.; Estima, J. O.; Gameiro, N. S.; Cardoso, A. J. M.: ''A New Diagnostic Technique for Real-Time Diagnosis of Power Converter Faults in Switched Reluctance Motor Drives''; IEEE Transactions on Industry Applications, Vol. 50, No. 3, pp. 1854 - 186, May / June, 2014. Freire, N. M. A.; Cardoso, A. J. M.: ''A Fault-Tolerant PMSG Drive for Wind Turbine Applications with Minimal Increase of the Hardware Requirements''; IEEE Transactions on Industry Applications, Vol. 50, No. 3, pp. 2039-2049, May / June, 2014. Drif, M.; Cardoso, A. J. M.: ''Stator Fault Diagnostics in Squirrel Cage Three-Phase Induction Motor Drives Using the Instantaneous Active and Reactive Power Signature Analyses''; IEEE Transactions on Industrial Informatics, Vol. 10, No. 2, pp. 1348-1360, May, 2014. Yahia, K.; Cardoso, A. J. M.; Ghoggal, A.; Zouzou, S. E.: ''Induction Motors Broken Rotor Bars Diagnosis Through the Discrete Wavelet Transform of the Instantaneous Reactive Power Signal under Time-varying Load Conditions''; Electric Power Components and Systems, Vol. 42, No. 7, pp. 682-692, April, 2014. Freire, N. M. A.; Estima, J. O.; Cardoso, A. J. M.: ''A New Approach for Current Sensor Fault Diagnosis in PMSG Drives for Wind Energy Conversion Systems''; IEEE Transactions on Industry Applications, Vol. 50, No. 2, pp. 1206-1214, March / April, 2014. Yahia, K.; Cardoso, A. J. M.; Ghoggal, A.; Zouzou, S. E.: ''Induction Motors Airgap-Eccentricity Detection Through the Discrete Wavelet Transform of the Apparent Power Signal Under Non-Stationary Operating Conditions''; ISA Transactions, Vol. 53, No. 2, pp. 603–611, March, 2014. Freire, N. M. A.; Cardoso, A. J. M.: ''Fault-Tolerant PMSG Drive With Reduced DC-Link Ratings for Wind Turbine Applications''; IEEE Journal of Emerging and Selected Topics in Power Electronics, Vol. 2, No. 1, pp. 26-34, March, 2014. Freire, N. M. A.; Estima, J. O.; Cardoso, A. J. M.: ''A Fault-Tolerant Direct Controlled PMSG Drive for Wind Energy Conversion Systems''; Acta Electrotechnica et Informatica, Vol. 61, No. 2, pp. 821-834, February, 2014. Freire, N. M. A.; Estima, J. O.; Cardoso, A. J. M.: ''Open-Circuit Fault Diagnosis in PMSG Drives for Wind Turbine Applications''; IEEE Transactions on Industrial Electronics, Vol. 60, No. 9, pp. 3957-3967, September, 2013. Estima, J. O.; Cardoso, A. J. M.: ''A New Algorithm for Real-Time Multiple Open-Circuit Fault Diagnosis in Voltage-Fed PWM Motor Drives by the Reference Current Errors''; IEEE Transactions on Industrial Electronics, Vol. 60, No. 8, pp. 3496 - 350, August, 2013. Vieira, A. C. V.; Cardoso, A. J. M.: ''Maintenance Audit and Some Maintenance Management Improvements - A School Building Case Study''; International Journal of COMADEM, Vol. 16, No. 3, pp. 47-57, July, 2013. Amaral, A. M. R.; Cardoso, A. J. M.: ''Using a Very Simple Capacimeter to Evaluate Aluminum Electrolytic Capacitors Health Status''; International Journal on Engineering Applications, Vol. 1, No. 4, pp. 234-240, July, 2013. Ribeiro, E. F. F.; Cardoso, A. J. M.; Chiara Boccaletti: ''Fault Tolerant Strategy for a Photovoltaic DC-DC Converter''; IEEE Transactions on Power Electronics, Vol. 28, No. 6, pp. 3008-3018, June, 2013. Fabbri, G.; Chiara Boccaletti; Anniballi, L.; London, M.; Calenne, F.; Mascioli, F. M. F.; Cardoso, A. J. M.: ''Adding ICT to Transportation Systems: Monitoring and Management System for the Electric Vehicle Fleet on the Island of Ventotene''; International Journal of Computer Theory and Engineering, Vol. 5, No. 2, pp. 268-272, April, 2013. Petrucci, L.; Fabbri, G.; Chiara Boccaletti; Cardoso, A. J. M.: ''Powering and Cooling of a Server Room Using a Hybrid Trigeneration System''; International Journal of Computer Theory and Engineering, Vol. 5, No. 2, pp. 263-267, April, 2013. Stabile, A.; Chiara Boccaletti; Cardoso, A. J. M.: ''A Power Loss Measurement Method Applied to Static Power Converters''; IEEE Transactions on Instrumentation and Measurement, Vol. 62, No. 2, pp. 344-352, February, 2013. Fonseca, D. S. B.; Pinto, N. M. F.; Cardoso, A. J. M.; Cabrita, C. M. P.: ''A New Approach for the Magnetic Characterization of Iron Core Materials – The Case of Switched Reluctance Motor''; International Review of Electrical Engineering, Vol. 7, No. 5, pp. 5425-5429, September / October, 2012. Oliveira, L. M. R.; Cardoso, A. J. M.: ''Extended Park’s Vector Approach-Based Differential Protection of Three-Phase Power Transformers''; IET Electric Power Applications, Vol. 6, No. 8, pp. 463-472, September, 2012. Gameiro, N. S.; Cardoso, A. J. M.: ''A New Method for Power Converter Fault Diagnosis in SRM Drives''; IEEE Transactions on Industry Applications, Vol. 48, No. 2, pp. 653-662, March / April, 2012. Estima, J. O.; Cardoso, A. J. M.: ''Efficiency Analysis of Drive Train Topologies Applied to Electric/Hybrid Vehicles''; IEEE Transactions on Vehicular Technology, Vol. 61, No. 3, pp. 1021-1031, March, 2012. Amaral, A. M. R.; Cardoso, A. J. M.: ''On-Line Fault Detection of Aluminium Electrolytic Capacitors, in Step-Down DC-DC Converters, Using Input Current and Output Voltage Ripple''; IET Power Electronics, Vol. 5, No. 3, pp. 315-322, March, 2012. Drif, M.; Cardoso, A. J. M.: ''Discriminating the Simultaneous Occurrence of Three-Phase Induction Motor Rotor Faults and Mechanical Load Oscillations by the Instantaneous Active and Reactive Power Media Signature Analyses''; IEEE Transactions on Industrial Electronics, Vol. 3, No. 59, pp. 1630-1639, March, 2012. Yahia, K.; Cardoso, A. J. M.; Zouzou, S. E.; Guedidi, S.: ''Broken Rotor Bars Diagnosis in an Induction Motor Fed from a Frequency Converter: Experimental Research''; International Journal of System Assurance Engineering and Management, Vol. 3, No. 1, pp. 40-46, March, 2012. Oliveira, L. M. R.; Cardoso, A. J. M.: ''Application of Park’s Power Components to the Differential Protection of Three-Phase Transformers''; Electric Power Systems Research, Vol. 83, No. 1, pp. 203-211, February, 2012. Cruz, S. M. A.; Mendes, A. M. S.; Cardoso, A. J. M.: ''A New Fault Diagnosis Method and a Fault-Tolerant Switching Strategy for Matrix Converters Operating With Optimum Alesina-Venturini Modulation''; IEEE Transactions on Industrial Electronics, Vol. 59, No. 1, pp. 269-280, January, 2012. Freire, N. M. A.; Estima, J. O.; Cardoso, A. J. M.: ''A Comparative Analysis of PMSG Drives Based on Vector Control and Direct Control Techniques for Wind Turbine Applications''; Electrical Review, Vol. 88, No. 1a, pp. 184 - 187, January, 2012. Baptista, B. R. O.; Mendes, A. M. S.; Cruz, S. M. A.; Cardoso, A. J. M.: ''Temperature Distribution Inside a Three-Phase Induction Motor Running with Eccentric Airgap''; Electrical Review, Vol. 88, No. 1a, pp. 96-99, January, 2012. Amaral, A. M. R.; Cardoso, A. J. M.: ''Condition Monitoring of Electrolytic Capacitors''; International Journal of System Assurance Engineering and Management, Vol. 2, No. 4, pp. 325-332, December, 2011. Estima, J. O.; Cardoso, A. J. M.: ''A New Approach for Real-Time Multiple Open-Circuit Fault Diagnosis in Voltage Source Inverters''; IEEE Transactions on Industry Applications, Vol. 47, No. 6, pp. 2487-2494, November / December, 2011. Oliveira, L. M. R.; Cardoso, A. J. M.: ''Power Transformers Winding Fault Diagnosis by the On-Load Exciting Current Extended Park’s Vector Approach''; Electric Power Systems Research, Vol. 81, No. 6, pp. 1206-1214, June, 2011. Fabbri, G.; Cardoso, A. J. M.; Chiara Boccaletti; Castrica, L.: ''A Software Tool for the Evaluation of the Behaviour of Bioelectrical Currents''; Journal of Systemics, Cybernetics and Informatics, Vol. 9, No. 3, pp. 79-84, May / June, 2011. Cruz, S. M. A.; Ferreira, M.; Mendes, A. M. S.; Cardoso, A. J. M.: ''Analysis and Diagnosis of Open-Circuit Faults in Matrix Converters''; IEEE Transactions on Industrial Electronics, Vol. 58, No. 5, pp. 1648-1661, May, 2011. Buiatti, G. M.; Martín-Ramos, J. A.; Martínez, J. A.; Amaral, A. M. R.; Cardoso, A. J. M.: ''Online Monitoring of Capacitors in Power Converters''; Eletrônica de Potência, Vol. 16, No. 2, pp. 177-186, May, 2011. Buiatti, G. M.; Amaral, A. M. R.; Cardoso, A. J. M.: ''A Very Simple Experimental Technique for Characterizing and Diagnosing Electrolytic Capacitors''; International Journal of Electrical Engineering Education, Vol. 48, No. 1, pp. 17-33, January, 2011. Vieira, A. C. V.; Cardoso, A. J. M.: ''The Role of Information Logistics and Data Warehousing in Educational Facilities Asset Management''; International Journal of System Assurance Engineering and Management, Vol. 1, No. 3, pp. 229-238, September, 2010. Buiatti, G. M.; Martín-Ramos, J. A.; García, C. H. R.; Amaral, A. M. R.; Cardoso, A. J. M.: ''An Online and Noninvasive Technique for the Condition Monitoring of Capacitors in Boost Converters''; IEEE Transactions on Instrumentation and Measurement, Vol. 59, No. 8, pp. 2134-2143, August, 2010. Oliveira, L. M. R.; Cardoso, A. J. M.: ''A Permeance-Based Transformer Model and Its Application to Winding Interturn Arcing Fault Studies''; IEEE Transactions on Power Delivery, Vol. 25, No. 3, pp. 1589-1598, July, 2010. Amaral, A. M. R.; Cardoso, A. J. M.: ''Simple Experimental Techniques to Characterize Capacitors in a Wide Range of Frequencies and Temperatures''; IEEE Transactions on Instrumentation and Measurement, Vol. 59, No. 5, pp. 1258-1267, May, 2010. Amaral, A. M. R.; Cardoso, A. J. M.: ''Using Hybrid Systems Theory to Simulate the Behaviour of Step-Down DC-DC Converters''; Acta Electrotechnica et Informatica, Vol. 9, No. 4, pp. 37-41, December, 2009. Drif, M.; Cardoso, A. J. M.: ''The Use of the Instantaneous-Reactive-Power Signature Analysis for Rotor-Cage-Fault Diagnostics in Three-Phase Induction Motors''; IEEE Transactions on Industrial Electronics, Vol. 56, No. 11, pp. 4606-4614, November, 2009. Buiatti, G. M.; Martín-Ramos, J. A.; Amaral, A. M. R.; Dworakowski, P.; Cardoso, A. J. M.: ''Condition Monitoring of Metallized Polypropylene Film Capacitors in Railway Power Trains''; IEEE Transactions on Instrumentation and Measurement, Vol. 58, No. 10, pp. 3796-3805, October, 2009. Amaral, A. M. R.; Cardoso, A. J. M.: ''A Simple Off-Line Technique for Evaluating the Condition of Aluminum Electrolytic Capacitors''; Acta Electrotechnica et Informatica, Vol. 56, No. 8, pp. 3230-3237, August, 2009. Cruz, S. M. A.; Stefani, A.; Filippetti, F.; Cardoso, A. J. M.: ''A New Model-Based Technique for the Diagnosis of Rotor Faults in RFOC Induction Motor Drives''; IEEE Transactions on Industrial Electronics, Vol. 55, No. 12, pp. 4218-4228, December, 2008. Amaral, A. M. R.; Cardoso, A. J. M.: ''An Economic Offline Technique for Estimating the Equivalent Circuit of Aluminum Electrolytic Capacitors''; IEEE Transactions on Instrumentation and Measurement, Vol. 57, No. 12, pp. 2697-2710, December, 2008. Drif, M.; Cardoso, A. J. M.: ''Instantaneous Non-Active Power Approach for Airgap Eccentricity Fault Diagnosis in Three-Phase Induction Motors''; Acta Electrotechnica et Informatica, Vol. 8, No. 3, pp. 18-25, September, 2008. Alcaso, A. N.; Cardoso, A. J. M.: ''Remedial Operating Strategies for a 12-Pulse LCI Drive System''; IEEE Transactions on Industrial Electronics, Vol. 55, No. 5, pp. 2133-2139, May, 2008. Mendes, A. M. S.; Fernández, X. M. L.; Cardoso, A. J. M.: ''Thermal Performance of a Three-Phase Induction Motor Under Fault Tolerant Operating Strategies''; IEEE Transactions on Power Electronics, Vol. 23, No. 3, pp. 1537-1544, May, 2008. Drif, M.; Cardoso, A. J. M.: ''Airgap-Eccentricity Fault Diagnosis, in Three-Phase Induction Motors, by the Complex Apparent Power Signature Analysis''; IEEE Transactions on Industrial Electronics, Vol. 55, No. 3, pp. 1404-1410, March, 2008. Drif, M.; Cardoso, A. J. M.: ''Noninvasive Rotor Cage Fault Diagnostics in Three-Phase Induction Motors Using the α, β Instantaneous Active Power Approach''; International Journal of COMADEM, Vol. 10, No. 3, pp. 19-28, July, 2007. Mendes, A. M. S.; Fernández, X. M. L.; Cardoso, A. J. M.: ''Thermal Behavior of a Three-Phase Induction Motor Fed by a Fault-Tolerant Voltage Source Inverter''; IEEE Transactions on Industry Applications, Vol. 43, No. 3, pp. 724-730, May / June, 2007. Mendes, A. M. S.; Cardoso, A. J. M.: ''Fault Tolerant Operating Strategies Applied to Three-Phase Induction Motor Drives''; IEEE Transactions on Industrial Electronics, Vol. 53, No. 6, pp. 1807-1817, December, 2006. Cruz, S. M. A.; Cardoso, A. J. M.: ''Multiple Reference Frames Theory: A New Method for the Diagnosis of Stator Faults in Three-Phase Induction Motors''; IEEE Transactions on Energy Conversion, Vol. 20, No. 3, pp. 611-619, September, 2005. Cruz, S. M. A.; Toliyat, H. A.; Cardoso, A. J. M.: ''DSP Implementation of the Multiple Reference Frames Theory for the Diagnosis of Stator Faults in a DTC Induction Motor Drive''; IEEE Transactions on Energy Conversion, Vol. 20, No. 2, pp. 329-335, June, 2005. Cruz, S. M. A.; Cardoso, A. J. M.: ''Diagnosis of Stator Inter-Turn Short Circuits in DTC Induction Motor Drives''; IEEE Transactions on Industry Applications, Vol. 40, No. 5, pp. 1349-1360, September / October, 2004. Alcaso, A. N.; Cardoso, A. J. M.: ''Analysis of LCI Drives Performance Under the Occurrence of Power Converter Faults''; Electromotion, Vol. 10, No. 3, pp. 673-678, December, 2003. Gameiro, N. S.; Cardoso, A. J. M.: ''Switched Reluctance Motor Dynamic Operation Under Power Converter Fault Conditions''; Electromotion, Vol. 10, No. 4, pp. 562-567, December, 2003. Cruz, S. M. A.; Cardoso, A. J. M.: ''Diagnosis of the Multiple Induction Motor Faults Using Extended Park’s Vector Approach''; International Journal of COMADEM, Vol. 4, No. 1, pp. 19-25, January, 2001. Cruz, S. M. A.; Cardoso, A. J. M.: ''Rotor Cage Fault Diagnosis in Three-Phase Induction Motors by Extended Park’s Vector Approach''; Electric Machines and Power Systems, Vol. 28, No. 4, pp. 289-299, April, 2000. Cardoso, A. J. M.; Cruz, S. M. A.; Fonseca, D. S. B.: ''Inter-turn stator winding fault diagnosis in three-phase indution motors, by Parks Vector approach''; IEEE Transactions on Energy Conversion, Vol. 14, No. 3, pp. 595-598, September, 1999. Cardoso, A. J. M.; Oliveira, L. M. R.: ''Condition Monitoring and Diagnostics of Power Transformers''; International Journal of COMADEM, Vol. 2, No. 3, pp. 5-11, July, 1999. Cardoso, A. J. M.; Saraiva, E. S.: ''Computer-Aided Detection of Airgap Eccentricity in Operating Three-Phase Induction Motors by Park’s Vector Approach''; IEEE Transactions on Industry Applications, Vol. 29, No. 5, pp. 897-901, September / October, 1993. Cabrita, C. M. P.; Cardoso, A. J. M.: ''Conceitos e Definições de Falha e Avaria nas Normas Portuguesas de Manutenção NP EN 13306:2007 e NP EN 15341:2009 - 2ª Parte''; Manutenção, Vol. , No. 129, pp. 4-9, June, 2016. Cabrita, C. M. P.; Cardoso, A. J. M.: ''Conceitos e Definições de Falha e Avaria nas Normas Portuguesas de Manutenção NP EN 13306:2007 e NP EN 15341:2009''; Elevare, Vol. , No. 7, pp. 8-20, June, 2016. Cabrita, C. M. P.; Cardoso, A. J. M.: ''Conceitos e Definições de Falha e Avaria nas Normas Portuguesas de Manutenção NP EN 13306:2007 e NP EN 15341:2009 - 1ª Parte''; Anais da Engenharia e Tecnologia Electrotécnica, Vol. , No. 125, pp. 4-9, June, 2015. Gonçalves, A. J. C.; Ferreira, L. A. A.; Cardoso, A. J. M.; Carvalho, E. A. M.; Dias, J. A. M.; Jordão, P. J. P.: ''A Engenharia de Manutenção Integrada numa Política de ''; Ingenium, Vol. 1, No. 137 (II Série), pp. 86-89, September / October, 2013. Cardoso, A. J. M.; Oliveira, L. M. R.; Gameiro, N. S.; Veloso, P. M. M. G.: ''Diagnóstico de Avarias em Transformadores Trifásicos''; Anais da Engenharia e Tecnologia Electrotécnica, Vol. , No. 6, pp. 9-12, March, 1998. Cruz, S. M. A.; Cardoso, A. J. M.: ''Diagnóstico da Ocorrência de Fracturas na Gaiola Rotórica de Motores de Indução Trifásicos''; Anais da Engenharia e Tecnologia Electrotécnica, Vol. , No. 2, pp. 9-12, November, 1996. Saraiva, E. S.; Silva, F. P.; Veiga, E. A. B.; Costa, J. C. H. R.; Cardoso, A. J. M.: ''Simulação de Sistemas Electrónico-Mecânicos''; Educação e Tecnologia, Vol. , No. VI, pp. 169-184, February, 1990. Cardoso, A. J. M.; Saraiva, E. S.: ''Manutenção de Sistemas Electrónico-Mecânicos''; Manutenção, Vol. 1, No. 18, pp. 28-31, June, 1988. Ananias C. P. Muxiri; Bento, F. J. F.; Fonseca, D. S. B.; Cardoso, A. J. M.: ''Thermal Analysis of an Induction Motor Subjected to Inter-Turn Short-Circuit Failures in the Stator Windings''; International Conference on Industrial Engineering, Applications and Manufacturing, Sochi, Russian Federation, pp. 1-5, March, 2019. Abouobaida, H.; Cardoso, A. J. M.: ''Fault-Tolerant Control Strategy for DC-DC Converter in Power Wind Conversion Systems''; International Conference on Electronics, Control, Optimization and Computer Science, Kenitra, Morocco, pp. 1-6, December, 2018. Jlassi, I.; Bento, F. J. F.; Cardoso, A. J. M.: ''Fault-Tolerant PMSG Direct-Drive Wind Turbines, using Vector Control Techniques with Reduced DC-Link Ratings''; Annual Conference of the IEEE Industrial Electronics Society, Washington, USA, pp. 1214-1219, October, 2018. Arroussi, M. F.; Arif, A.; Guettaf, A.; Cardoso, A. J. M.; Saadi, R.: ''Improvement of the Maximum Power Point Tracker for Photovoltaic Generators with Particle Swarm Optimization and Fuzzy-Sliding Mode Techniques under Partial Shading Condition''; International Conference on Power Electronics Machines and Drives, Sousse, Tunisia, pp. , October, 2018. Fonseca, D. S. B.; Santos, C. M. C.; Cardoso, A. J. M.: ''On-Line Stator Fault Diagnosis in Line-Start Permanent Magnet Synchronous Motors''; International Conference on Electrical Machines, Alexandroupoli, Greece, pp. 1925-1931, September, 2018. Jlassi, I.; Cardoso, A. J. M.: ''Model Predictive Current Control of Synchronous Reluctance Motors, Including Saturation and Iron Losses ''; International Conference on Electrical Machines, Alexandroupoli, Greece, pp. 1598 -1603, September, 2018. Goh, S. Y.; Fawzal, A. S.; Gyftakis, K. N.; Cardoso, A. J. M.: ''Impact of the Fan Design and Rotational Direction on the Thermal Characteristics of Induction Motors''; International Conference on Electrical Machines, Alexandroupoli, Greece, pp. 1227-1233, September, 2018. Bento, F. J. F.; Estima, J. O.; Cardoso, A. J. M.: ''Performance Evaluation of Three Variable Speed AC Motor Drives under Different Load Profiles''; International Conference on Industrial Engineering, Applications and Manufacturing, Moscow, Russian Federation, pp. 1-6, May, 2018. Kerbouche, K.; Cardoso, A. J. M.; Yahia, K.; Mellit, A.: ''Mathematical Modelling and Simulation of a Directly Coupled Water Pumping System, Using a Photovoltaic-Fed Synchronous Reluctance Motor''; International Conference on Electronic Engineering and Renewable Energy, Saidia, Morocco, pp. 1-7, April, 2018. Figueiredo Ramos, C. A.; Alcaso, A. N.; Cardoso, A. J. M.: ''Development of a Test Rig for PVT Monitoring Using Cloud Services''; International Congress on Engineering, Covilhã, Portugal, pp. 1-7, December, 2017. Fonseca, D. S. B.; Santos, C. M. C.; Cardoso, A. J. M.: ''Modelling of a Line-Start Permanent Magnet Synchronous Motor, Using Empirical Parameters''; International Congress on Engineering, Covilhã, Portugal, pp. 1-11, December, 2017. Jlassi, I.; Cardoso, A. J. M.: ''IGBTs and Current Sensors Fault Diagnosis in Direct-Drive PMSG Wind Turbine Systems using Adaptive Thresholds''; Annual Conference of the IEEE Industrial Electronics Society, Beijing, China, pp. 5072-5077, October / November, 2017. Bento, F. J. F.; Cardoso, A. J. M.: ''Fault Diagnosis in DC-DC Converters Using a Time-Domain Analysis of the Reference Current Error''; Annual Conference of the IEEE Industrial Electronics Society, Beijing, China, pp. 5060-5065, October / November, 2017. Figueiredo Ramos, C. A.; Alcaso, A. N.; Cardoso, A. J. M.: ''Análise por termografia de módulos termofotovoltaicos''; Congresso Ibero-americano de Engenharia Mecânica, Costa da Caparica, Portugal, pp. 5, October, 2017. Bento, F. J. F.; Estima, J. O.; Cardoso, A. J. M.: ''Performance Comparison of Three Different AC Variable Speed Motor Drives''; International Conference on Energy Efficiency in Motor Driven Systems, Rome, Italy, pp. 746-758, September, 2017. Jlassi, I.; Cardoso, A. J. M.: ''A Single Fault Diagnostics Approach for Power Switches, Speed Sensors and Current Sensors in Regenerative PMSM Drives''; IEEE International Symposium on Diagnostics for Electrical Machines, Power Electronics & Drives, Tinos, Greece, pp. 366-372, August / September, 2017. Bento, F. J. F.; Cardoso, A. J. M.: ''Open-Circuit Fault Diagnosis in Interleaved DC-DC Boost Converters and Reconfiguration Strategy''; IEEE International Symposium on Diagnostics for Electrical Machines, Power Electronics & Drives, Tinos, Greece, pp. 394-400, August / September, 2017. Fonseca, D. S. B.; Cardoso, A. J. M.: ''On-Line Stator Fault Diagnosis in Switched Reluctance Motors''; IEEE International Symposium on Diagnostics for Electrical Machines, Power Electronics & Drives, Tinos, Greece, pp. 360-365, August / September, 2017. El Khil, S. K.; Jlassi, I.; Estima, J. O.; Bellaaj, N. M.; Cardoso, A. J. M.: ''Detection and Isolation of Open-Switch and Current Sensor Faults in PMSM Drives, Through Stator Current Analysis''; International Symposium on Electromagnetic Fields in Mechatronics, Electrical and Electronic Engineering, Tinos, Greece, pp. 373-379, August / September, 2017. Jacop, A.; Khang, H. V.; Robbersmyr, K. G.; Cardoso, A. J. M.: ''Bearing Fault Detection for Drivetrains using Adaptive Filters based Wavelet Transform''; International Conference on Electrical Machines and Systems, Sydney, Australia, pp. 1-6, August, 2017. Bento, F. J. F.; Cardoso, A. J. M.: ''Fault Tolerant DC-DC Converters in DC Microgrids''; IEEE International Conference on DC Microgrids, Nürnberg, Germany, pp. 484-490, June, 2017. Amaral, A. M. R.; Cardoso, A. J. M.: ''Unregulated AC-DC Power Supply under Heavy Load Operation: Simulation and Design''; IEEE International Symposium on Industrial Electronics, Edinburgh, UK, pp. 913-918, June, 2017. Gyftakis, K. N.; Cardoso, A. J. M.: ''A New Vector Approach to Detect Stator Faults in Induction Motors''; IEEE Workshop on Electrical Machines Design, Control and Diagnosis, Nottingham, UK, pp. 232-237, April, 2017. Gómez, M.; Ribeiro, E. F. F.; Estima, J. O.; Chiara Boccaletti; Cardoso, A. J. M.: ''Development of an Effective MPPT Method Suitable to a Stand-Alone, Low-Cost Wind Turbine System''; Annual Conference of the IEEE Industrial Electronics Society, Firenze, Italy, pp. 5550-5555, October, 2016. Sabouri, M.; Ojaghi, M.; Faiz, J.; Cardoso, A. J. M.: ''New Technique for Identifying Bearing Faults in Three-Phase Induction Motors''; Annual Conference of the IEEE Industrial Electronics Society, Firenze, Italy, pp. 1530-1535, October, 2016. Matos, D. M. B.; Estima, J. O.; Cardoso, A. J. M.: ''Performance of a Synchronous Reluctance Motor Drive with a Fault-Tolerant Three-Level Neutral Point Clamped Inverter''; International Conference on Electrical Machines, Lausanne, Switzerland, pp. 1152-1159, September, 2016. Moscatiello, C.; Chiara Boccaletti; Alcaso, A. N.; Figueiredo Ramos, C. A.; Cardoso, A. J. M.: ''Performance Evaluation of a Hybrid Thermalphotovoltaic Panel''; IEEE Energy Conversion Congress and Exposition, Milwaukee, USA, pp. 1-6, September, 2016. Elsayed, W. M.; Estima, J. O.; Chiara Boccaletti; Cardoso, A. J. M.: ''Energy Management Strategy of a Propulsion System with Supercapacitors for Electric and Hybrid Vehicles''; IEEE International Conference on Power Electronics and Motion Control, Varna, Bulgaria, pp. 1210-1215, September, 2016. Gyftakis, K. N.; Antonino-Daviu, J. A.; Cardoso, A. J. M.: ''A Reliable Indicator to Detect Non-Adjacent Broken Rotor Bars Severity in Induction Motors''; International Conference on Electrical Machines, Lausanne, Switzerland, pp. 2910-2916, September, 2016. Alcaso, A. N.; Vieira, P. A. A.; Cardoso, A. J. M.; Figueiredo Ramos, C. A.: ''Development of a Cloud-Based System for Remote Monitoring of a PVT Panel''; International Conference on Engineering, Covilhã, Portugal, pp. 1-5, December, 2015. Antonino-Daviu, J. A.; Gyftakis, K. N.; Garcia-Hernandez, R.; Razik, H.; Cardoso, A. J. M.: ''Comparative Influence of Adjacent and Non-adjacent Broken Rotor Bars on the Induction Motor Diagnosis through MCSA and ZSC Methods''; Annual Conference of the IEEE Industrial Electronics Society, Yokohama, Japan, pp. 01, November, 2015. Gyftakis, K. N.; Drif, M.; Cardoso, A. J. M.: ''Thorough Investigation of the Third Current Harmonic in Delta-Connected Induction Motors Suffering from a Stator Inter-Turn Fault''; IEEE International Symposium on Diagnostics for Electrical Machines, Power Electronics & Drives, Guarda, Portugal, pp. 7-13, September, 2015. Matos, D. M. B.; Estima, J. O.; Cardoso, A. J. M.: ''Performance Evaluation of Synchronous Reluctance Motor Drives Under Inverter Fault Conditions''; IEEE International Symposium on Diagnostics for Electrical Machines, Power Electronics & Drives, Guarda, Portugal, pp. 448-454, September, 2015. Oliveira, L. M. R.; Cardoso, A. J. M.: ''Comparing Power Transformer Turn-to-Turn Faults Protection Methods: Negative Sequence Component versus Space Vector Algorithms''; IEEE International Symposium on Diagnostics for Electrical Machines, Power Electronics & Drives, Guarda, Portugal, pp. 289-295, September, 2015. Gyftakis, K. N.; Antonino-Daviu, J. A.; Garcia-Hernandez, R.; McCulloch, M.; Howey, D. A.; Cardoso, A. J. M.: ''Comparative Experimental Investigation of Broken Bar Fault Detectability in Induction Motors''; IEEE International Symposium on Diagnostics for Electrical Machines, Power Electronics & Drives, Guarda, Portugal, pp. 461-467, September, 2015. Ribeiro, E. F. F.; Cardoso, A. J. M.; Chiara Boccaletti: ''Fault Diagnosis in Non-Isolated Bidirectional Half-Bridge DC-DC Converters''; Annual Conference of the IEEE Industrial Electronics Society, Dallas, USA, pp. 4458-4463, October / November, 2014. Ribeiro, E. F. F.; Monteiro, A. I. T.; Cardoso, A. J. M.; Chiara Boccaletti: ''Fault Tolerant Small Wind Power System for Telecommunications with Maximum Power Extraction''; International Communications Energy Conference, Vancouver, Canada, pp. 6, September / October, 2014. Estima, J. O.; Cardoso, A. J. M.: ''Thermal Evaluation of Different Drive Train Topologies for Electric/Hybrid Vehicles''; International Conference on Electrical Machines, Berlin, Germany, pp. 8, September, 2014. Ribeiro, E. F. F.; Cardoso, A. J. M.; Chiara Boccaletti: ''Fault Diagnosis in Unidirectional Non-Isolated DC-DC Converters''; IEEE Energy Conversion Congress and Exposition, Pittsburgh, USA, pp. 1140-1145, September, 2014. Vieira, A. C. V.; Cardoso, A. J. M.: ''Maintenance Conceptual Models and their Relevance in the Development of Maintenance Auditing Tools for School Buildings' Assets - An Overview''; Maintenance Performance Measurement and Management, Coimbra, Portugal, pp. 3-10, September, 2014. Monteiro, A. I. T.; Ribeiro, E. F. F.; Cardoso, A. J. M.; Chiara Boccaletti: ''Power Control of a Small-Scale Standalone Wind Turbine for Rural and Remote Areas Electrification''; International Symposium on Power Electronics, Electrical Drives, Automation and Motion, Ischia, Italy, pp. 889-894, June, 2014. Yahia, K.; Estima, J. O.; Cardoso, A. J. M.: ''Modeling Synchronous Reluctance Motors Including Saturation, Iron Losses and Mechanical Losses''; International Symposium on Power Electronics, Electrical Drives, Automation and Motion, Ischia, Italy, pp. 595-600, June, 2014. Alcaso, A. N.; Figueiredo Ramos, C. A.; Cardoso, A. J. M.: '' Experimental Validation of the Electro-Thermal Model of a PV Panel''; International Conference on Engineering, Covilhã, Portugal, pp. 1-5, November, 2013. Ribeiro, E. F. F.; Cardoso, A. J. M.; Chiara Boccaletti: ''Modular Hybrid Storage System for Renewable Energy Standalone Power Supplies''; Annual Conference of the IEEE Industrial Electronics Society, Vienna, Austria, pp. 1749-1754, November, 2013. Cabrita, C. M. P.; Cardoso, A. J. M.: ''Conceitos e Definições de Falha e Avaria nas Normas Portuguesas de Manutenção NP EN 13306:2007 e NP EN 15341:2009''; Congresso Ibero-Americano de Manutenção, Cascais, Portugal, pp. 1-20, November, 2013. Ribeiro, E. F. F.; Cardoso, A. J. M.; Chiara Boccaletti: ''Fault Tolerant Photovoltaic Power System''; International Conference on Engineering, Covilhã, Portugal, pp. 9, November, 2013. Estima, J. O.; Cardoso, A. J. M.: ''Efficiency Analysis of Synchronous Reluctance Motors''; International Conference on Engineering, Covilhã, Portugal, pp. 9, November, 2013. Estima, J. O.; Cardoso, A. J. M.: ''Super Premium Synchronous Reluctance Motor Evaluation''; International Conference on Energy Efficiency in Motor Driven Systems, Rio de Janeiro, Brazil, pp. 10, October, 2013. Ribeiro, E. F. F.; Cardoso, A. J. M.; Chiara Boccaletti: ''Fault Diagnosis in a Multi-Input Power Interface for a Photovoltaic-Wind Supply System for Telecommunications''; IEEE International Telecommunications Energy Conference, Hamburg, Germany, pp. 704-709, October, 2013. Drif, M.; Estima, J. O.; Cardoso, A. J. M.: ''The Use of the Stator Instantaneous Complex Apparent Impedance Signature Analysis for Discriminating Stator Winding Faults and Supply Voltage Unbalance in Three-Phase Induction Motors''; IEEE Energy Conversion Congress and Exposition, Denver, USA, pp. 4403-4411, September, 2013. Drif, M.; Drif, Ma. ; Estima, J. O.; Cardoso, A. J. M.: ''The Use of the Stator Instantaneous Complex Apparent Impedance Signature Analysis for Discriminating Stator Winding Faults and Supply Voltage Unbalance in Three-Phase Induction Motors''; IEEE Energy Conversion Congress and Exposition, Denver, USA, pp. 4403-4411, September, 2013. Freire, N. M. A.; Cardoso, A. J. M.: ''Fault-Tolerant Converter for AC Drives Using Vector-Based Hysteresis Current Control''; International Conference on Power Electronics Machines and Drives, Valencia, Spain, pp. 249-256, August, 2013. Flores, A. Q.; Cardoso, A. J. M.; Carvalho, J. B.: ''Gearbox Fault Detection by Wavelet and Spectrum Analysis of the Induction Motor Power''; IEEE International Electric Machines and Drives Conference, Chicago, USA, pp. 88-92, May, 2013. Quispe, E. C.; Fernández, X. M. L.; Mendes, A. M. S.; Cardoso, A. J. M.; Palacios, J. A.: ''Influence of the Positive Sequence Voltage on the Derating of Three-Phase Induction Motors under Voltage Unbalance''; IEEE International Electric Machines and Drives Conference, Chicago, USA, pp. 100-105, May, 2013. Freire, N. M. A.; Cardoso, A. J. M.: ''A Fault-Tolerant PMSG Drive for Wind Turbine Applications with Minimal Increase of the Hardware Requirements''; Applied Computational Electromagnetics Society Conference, Long Beach, USA, pp. 2836-2843, March, 2013. Estima, J. O.; Freire, N. M. A.; Cardoso, A. J. M.: ''Recent Advances in Fault Diagnosis by Park's Vector Approach''; IEEE Workshop on Electrical Machines Design, Control and Diagnosis, Paris, France, pp. 10, March, 2013. Marques, J.; Estima, J. O.; Gameiro, N. S.; Cardoso, A. J. M.: ''A New Diagnostic Technique for Real-Time Diagnosis of Power Converter Faults in Switched Reluctance Motor Drives''; Applied Power Electronics Conference and Exposition, Long Beach, USA, pp. 1192-1198, March, 2013. Ribeiro, E. F. F.; Cardoso, A. J. M.; Chiara Boccaletti: ''Fault Analysis of Dual Active Bridge Converters''; Annual Conference of the IEEE Industrial Electronics Society, Montréal, Canada, pp. 398-403, October, 2012. Ribeiro, E. F. F.; Cardoso, A. J. M.; Chiara Boccaletti: ''Standalone Diesel-Photovoltaic System with Batteries and Supercapacitors as Energy Storage Components for Telecommunications''; IEEE International Telecommunications Energy Conference, Scottsdale, USA, pp. 8, September / October, 2012. Estima, J. O.; Cardoso, A. J. M.: ''Fast Fault Detection, Isolation and Reconfiguration in Fault-Tolerant Permanent Magnet Synchronous Motor Drives''; IEEE Energy Conversion Congress and Exposition, Raleigh, USA, pp. 3617-3624, September, 2012. Estima, J. O.; Cardoso, A. J. M.: ''Efficiency Evaluation of Fault-Tolerant Operating Strategies Applied to Three-Phase Permanent Magnet Synchronous Motor Drives''; International Conference on Electrical Machines, Marseille, France, pp. 2411-2417, September, 2012. Freire, N. M. A.; Estima, J. O.; Cardoso, A. J. M.: ''A New Approach for Current Sensor Fault Diagnosis in PMSG Drives for Wind Energy Conversion Systems''; IEEE Energy Conversion Congress and Exposition, Raleigh, USA, pp. 2083-2090, September, 2012. Fabbri, G.; Calenne, F.; London, M.; Chiara Boccaletti; Cardoso, A. J. M.; Mascioli, F. M. F.: ''Development of an On-Board Unit for the Monitoring and Management of an Electric Fleet''; International Conference on Electrical Machines, Marseille, France, pp. 2404-2410, September, 2012. Drif, M.; Estima, J. O.; Cardoso, A. J. M.: ''Discriminating Rotor Cage Faults and Mechanical Load Oscillations in Three-Phase Induction Motors by the Stator Instantaneous Complex Apparent Impedance''; IEEE Energy Conversion Congress and Exposition, Raleigh, USA, pp. 3024-3031, September, 2012. Freire, N. M. A.; Estima, J. O.; Cardoso, A. J. M.: ''A Voltage-Based Approach for Open-Circuit Fault Diagnosis in Voltage-Fed SVM Motor Drives Without Extra Hardware''; International Conference on Electrical Machines, Marseille, France, pp. 2378-2383, September, 2012. Ribeiro, E. F. F.; Cardoso, A. J. M.; Chiara Boccaletti: ''Power Conditioning Supercapacitors in Combination with Batteries for Stand-Alone Power Systems''; International Symposium on Power Electronics, Electrical Drives, Automation and Motion, Sorrento, Italy, pp. 914-919, June, 2012. Fabbri, G.; Carta, A.; Chiara Boccaletti; Cardoso, A. J. M.: ''Simulation and Design of a Photovoltaic Roof for Automotive Applications''; IEEE International Symposium on Industrial Electronics, Hangzhou, China, pp. 1726-1731, May, 2012. Fonseca, D. S. B.; Pinto, N. M. F.; Cardoso, A. J. M.; Cabrita, C. M. P.: ''A New Methodology for the Redesign of a Switched Reluctance Motor Winding''; IET International Conference on Power Electronics, Machines and Drives, Bristol, UK, pp. 1-6, March, 2012. Figueiredo Ramos, C. A.; Cardoso, A. J. M.; Alcaso, A. N.: ''Modeling and Simulation of a Hybrid Photovoltaic/Thermal Collector''; International Renewable Energy Congress, Hammamet, Tunisia, pp. 455-460, December, 2011. Fabbri, G.; Cardoso, A. J. M.; Chiara Boccaletti; Girimonte, A.: ''Control and Optimisation of Power Consumption in Radio Base Stations''; IEEE International Telecommunications Energy Conference, Amsterdam, Portugal, pp. 1-6, October, 2011. Ribeiro, E. F. F.; Cardoso, A. J. M.; Chiara Boccaletti: ''Power Conditioning and Energy Management in a Renewable Energy Based Hybrid System for Telecommunications''; IEEE International Telecommunications Energy Conference, Amsterdam, The Netherlands, pp. 9, October, 2011. Fabbri, G.; Paschero, M.; Cardoso, A. J. M.; Chiara Boccaletti; Mascioli, F. M. F.: ''A Genetic Algorithm Based Battery Model for Stand Alone Radio Base Stations Powering''; International Conference on Power Electronics Machines and Drives, Amsterdam, The Nederlands, pp. 1-8, October, 2011. Estima, J. O.; Cardoso, A. J. M.: ''Single Power Switch Open-Circuit Fault Diagnosis in Voltage-Fed PWM Motor Drives by the Reference Current Errors''; IEEE International Symposium on Diagnostics for Electrical Machines, Power Electronics & Drives, Bologna, Italy, pp. 8, September, 2011. Ribeiro, E. F. F.; Cardoso, A. J. M.; Chiara Boccaletti: ''Power Converters Analysis in a Renewable Energy Based Hybrid System with Hydrogen Storage''; IET Renewable Power Generation Conference, Edinburgh, UK, pp. 6, September, 2011. Freire, N. M. A.; Estima, J. O.; Cardoso, A. J. M.: ''Multiple Open-Circuit Fault Diagnosis in Voltage-Fed PWM Motor Drives Using the Current Park’s Vector Phase and the Currents Polarity''; IEEE International Symposium on Diagnostics for Electrical Machines, Power Electronics & Drives, Bologna, Italy, pp. 8, September, 2011. Ventura, R. P. S.; Mendes, A. M. S.; Cardoso, A. J. M.: ''Fault Detection in Multilevel Cascaded Inverter Using Park’s Vector Approach with Balanced Battery Power Usage''; European Conference on Power Electronics and Applications, Birmingham, UK, pp. 10, August / September, 2011. Estima, J. O.; Cardoso, A. J. M.: ''A Fault-Tolerant Permanent Magnet Synchronous Motor Drive with Integrated Voltage Source Inverter Open-Circuit Faults Diagnosis''; European Conference on Power Electronics and Applications, Birmingham, UK, pp. 10, August / September, 2011. Freire, N. M. A.; Estima, J. O.; Cardoso, A. J. M.: ''Comparison of PMSG Drives Based on Vector Control and Direct Control Techniques for Wind Turbine Applications''; Portuguese-Spanish Conference on Electrical Engineering, Ponta Delgada, Portugal, pp. 6, June / July, 2011. Baptista, B. R. O.; Mendes, A. M. S.; Cruz, S. M. A.; Cardoso, A. J. M.: ''Effects of Static Eccentricity on the Temperature Distribution in a Three-Phase Induction Motor''; Portuguese-Spanish Conference on Electrical Engineering, Ponta Delgada, Portugal, pp. 5, June / July, 2011. Fabbri, G.; Chiara Boccaletti; Anniballi, L.; London, M.; Calenne, F.; Mascioli, F. M. F.; Cardoso, A. J. M.: ''Adding ICT to Transportation Systems: Monitoring and Management System for the Electric Vehicle Fleet on the Island of Ventotene''; International Conference on Power Electronics Machines and Drives, Chengdu, China, pp. 403-407, June, 2011. Petrucci, L.; Fabbri, G.; Chiara Boccaletti; Cardoso, A. J. M.: ''Powering and Cooling of a Server Room Using a Hybrid Trigeneration System''; IEEE International Conference on Computer Science and Information Technology, Chengdu, China, pp. 398-402, June, 2011. Freire, N. M. A.; Estima, J. O.; Cardoso, A. J. M.: ''Comparison of Distinct Modulation Techniques Applied to PMSG Drives for Wind Turbine Applications Under Faulty Operating Conditions''; International Conference on Clean Electrical Power, Ischia, Italy, pp. 63-68, June, 2011. Mendes, A. M. S.; Rocha, R. F.; Cardoso, A. J. M.: ''Analysis of a Railway Power System Based on Four Quadrant Converters Operating Under Faulty Conditions''; IEEE International Electric Machines and Drives Conference, Niagara Falls, Canada, pp. 1019-1024, May, 2011. Quispe, E. C.; Fernández, X. M. L.; Mendes, A. M. S.; Cardoso, A. J. M.; Palacios, J. A.: ''Experimental Study of the Effect of Positive Sequence Voltage on the Derating of Induction Motors under Voltage Unbalance''; International Conference on Power Electronics Machines and Drives, Niagara Falls, Canada, pp. 918-922, May, 2011. Stabile, A.; Cardoso, A. J. M.; Chiara Boccaletti: ''Efficiency Analysis of Power Converters for Urban Wind Turbine Applications''; IEEE International Conference on Sustainable Energy Technologies, Kandy, Sri Lanka, pp. 1-6, December, 2010. Ribeiro, E. F. F.; Cardoso, A. J. M.; Chiara Boccaletti: ''New Challenges in Power Conditioning for Telecommunications''; Annual Conference of the IEEE Industrial Electronics Society, Phoenix, USA, pp. 6, November, 2010. Freire, N. M. A.; Estima, J. O.; Cardoso, A. J. M.: ''Converters Fault-Diagnosis in PMSG Drives for Wind Turbine Applications''; Annual Conference of the IEEE Industrial Electronics Society, Phoenix, USA, pp. 6, November, 2010. Oliveira, L. M. R.; Cardoso, A. J. M.: ''An EPVA-Based Strategy for Power Transformers Differential Protection''; Advanced Research Workshop on Transformers, Santiago Compostela, Spain, pp. 407-412, October, 2010. Oliveira, L. M. R.; Cardoso, A. J. M.: ''Power Transformers Behaviour Under the Occurrence of Inrush Currents and Turn-to-Turn Winding Insulation Faults''; International Conference on Electrical Machines, Rome, Italy, pp. 1-7, September, 2010. Mendes, A. M. S.; Quispe, E. C.; Fernández, X. M. L.; Cardoso, A. J. M.: ''Influence of the Positive Sequence Voltage on the Temperature of Three-Phase Induction Motors''; International Conference on Electrical Machines, Rome, Italy, pp. 6, September, 2010. Gameiro, N. S.; Cardoso, A. J. M.: ''Power Converter Fault Diagnosis in SRM Drives Based on the DC Bus Current Analysis''; International Conference on Electrical Machines, Rome, Italy, pp. 1-6, September, 2010. Fabbri, G.; Chiara Boccaletti; Cardoso, A. J. M.: ''A Hybrid Stand Alone Power System for Telecom Applications in Minor Islands''; International Conference on Electrical Machines, Rome, Italy, pp. 1-6, September, 2010. Estima, J. O.; Cardoso, A. J. M.: ''Performance Analysis of a PMSM Drive for Hybrid Electric Vehicles''; International Conference on Power Electronics Machines and Drives, Rome, Italy, pp. 1-6, September, 2010. Estima, J. O.; Cardoso, A. J. M.: ''A New Approach for Real-Time Multiple Open-Circuit Fault Diagnosis in Voltage Source Inverters''; IEEE Energy Conversion Congress and Exposition, Atlanta, USA, pp. 8, September, 2010. Ribeiro, E. F. F.; Cardoso, A. J. M.; Chiara Boccaletti: ''Grid Interface for a Wind Turbine-Fuel Cell System''; International Conference on Electrical Machines, Rome, Italy, pp. 6, September, 2010. Amaral, A. M. R.; Cardoso, A. J. M.: ''Estimating Aluminum Electrolytic Capacitors Condition Using a Low Frequency Transformer Together with a DC Power Supply''; IEEE International Symposium on Industrial Electronics, Bari, Italy, pp. 815-820, July, 2010. Flores, A. Q.; Cardoso, A. J. M.; Carvalho, J. B.: ''Reduction Gear Broken Teeth Diagnosis by the Induction Motor Instantaneous Power Analysis''; International Congress on Condition Monitoring and Diagnostic Engineering Management, Nara, Japan, pp. 559-566, June / July, 2010. Estima, J. O.; Cardoso, A. J. M.: ''A Novel Diagnostic Method for Single Power Switch Open-Circuit Faults in Voltage-Fed PWM Motor Drives''; International Symposium on Power Electronics, Electrical Drives, Automation and Motion, Pisa, Italy, pp. 535-540, June, 2010. Vieira, A. C. V.; Cardoso, A. J. M.: ''The Role of Information Logistics and Data Warehousing in Educational Facilities Asset Management''; International Workshop and Congress on eMaintenance, Luleå, Sweden, pp. 205-211, June, 2010. Ribeiro, E. F. F.; Cardoso, A. J. M.; Chiara Boccaletti: ''Power Conditioning of an Energy Storage System for Telecommunications''; International Symposium on Power Electronics, Electrical Drives, Automation and Motion, Pisa, Italy, pp. 1123-1128, June, 2010. Cardoso, A. J. M.; Castrica, L.: ''A Bioelectrical Sensor for the Detection of Small Biological Currents''; International Conference on Sensing Technology, Lecce, Italy, pp. 340-345, June, 2010. Ribeiro, E. F. F.; Cardoso, A. J. M.; Chiara Boccaletti: ''Fuel Cell-Supercapacitor System For Telecommunications''; IET International Conference on Power Electronics, Machines and Drives, Brighton, UK, pp. 6, April, 2010. Estima, J. O.; Fernandes, J. L. J.; Cardoso, A. J. M.: ''Faulty Operation Analysis of Permanent Magnet Synchronous Generator Drives for Wind Turbine Applications''; International Conference on Power Electronics Machines and Drives, Brighton, UK, pp. 6, April, 2010. Fabbri, G.; Cardoso, A. J. M.; Castrica, L.: ''A Software Tool for the Evaluation of the Behaviour of Bioelectrical Currents''; International Multi-Conference on Complexity, Informatics and Cybernetics, Orlando, USA, pp. 1-6, April, 2010. Estima, J. O.; Cardoso, A. J. M.: ''Performance Evaluation of DTC-SVM Permanent Magnet Synchronous Motor Drives Under Inverter Fault Conditions''; International Conference on Power Electronics Machines and Drives, Porto, Portugal, pp. 1228-1233, November, 2009. Gameiro, N. S.; Cardoso, A. J. M.: ''The Partial Average Power as a Fault Diagnostic Parameter Applied to SRM Drives''; Annual Conference of the IEEE Industrial Electronics Society, Porto, Portugal, pp. 1356-1361, November, 2009. Amaral, A. M. R.; Cardoso, A. J. M.: ''State Condition Estimation of Aluminum Electrolytic Capacitors Used on the Primary Side of ATX Power Supplies''; Annual Conference of the IEEE Industrial Electronics Society, Porto, Portugal, pp. 447-452, November, 2009. Cruz, S. M. A.; Ferreira, M.; Cardoso, A. J. M.: ''Diagnosis of Open-Circuit Faults in Matrix Converters''; European Conference on Power Electronics and Applications, Barcelona, Spain, pp. 11, September, 2009. Caseiro, J. A. A.; Mendes, A. M. S.; Cardoso, A. J. M.: ''The Usage of a PWM Rectifier to Improve Three-Phase Induction Motor Drive Performance under Fault Conditions''; European Conference on Power Electronics and Applications, Barcelona, Spain, pp. 10, September, 2009. Cruz, S. M. A.; Ferreira, M.; Mendes, A. M. S.; Cardoso, A. J. M.: ''Modulated Error Voltages for the Diagnosis of Faults in Matrix Converters''; IEEE Energy Conversion Congress and Exposition, San Jose, USA, pp. 2263-2270, September, 2009. Amaral, A. M. R.; Cardoso, A. J. M.: ''Using Input Current and Output Voltage Ripple to Estimate the Output Filter Condition of Switch Mode DC/DC Converters''; IEEE International Symposium on Diagnostics for Electrical Machines, Power Electronics & Drives, Cargèse, France, pp. 1-6, August / September, 2009. Flores, A. Q.; Cardoso, A. J. M.; Carvalho, J. B.: ''The Induction Motor as a Mechanical Fault Sensor in Elevator Systems''; Spanish-Portuguese Conference in Electrical Engineering, Zaragoza, Spain, pp. 4, July, 2009. Ribeiro, E. F. F.; Cardoso, A. J. M.; Chiara Boccaletti; Mendes, A. M. S.: ''Photovoltaic DC-DC Converter for Telecommunications Energy Systems''; International Conference on Clean Electrical Power, Capri, Italy, pp. 433-438, June, 2009. Estima, J. O.; Cardoso, A. J. M.: ''Impact of Inverter Faults in the Overall Performance of Permanent Magnet Synchronous Motor Drives''; IEEE International Electric Machines and Drives Conference, Miami, USA, pp. 1319-1325, May, 2009. Amaral, A. M. R.; Cardoso, A. J. M.: ''Using a Simple Charge-Discharge Circuit to Estimate Capacitors Equivalent Circuit at Their Operating Conditions''; International Conference on Power Electronics Machines and Drives, Singapore, Singapore, pp. 737-742, May, 2009. Cruz, S. M. A.; Ferreira, M.; Cardoso, A. J. M.: ''A New Method for the Detection and Location of Faults in Matrix Converters''; IEEE International Electric Machines and Drives Conference, Miami, USA, pp. 165-170, May, 2009. Caseiro, J. A. A.; Mendes, A. M. S.; Cardoso, A. J. M.: ''Fault Diagnosis on a PWM Rectifier AC Drive System with Fault Tolerance Using the Average Current Park’s Vector Approach''; IEEE International Electric Machines and Drives Conference, Miami, USA, pp. 695-701, May, 2009. Ribeiro, E. F. F.; Cardoso, A. J. M.; Chiara Boccaletti: ''Uninterruptible Energy Production in Standalone Power Systems for Telecommunications''; International Conference on Renewable Energies and Power Quality, Valencia, Spain, pp. 6, April, 2009. Amaral, A. M. R.; Cardoso, A. J. M.: ''Using a Sinosoidal PWM to Estimate the ESR of Aluminum Electrolytic Capacitors''; International Conference on Power Engineering, Energy and Electrical Drives, Lisbon, Portugal, pp. 691-696, March, 2009. Cardoso, A. J. M.: ''Supply Current Polar Chart Analysis of SRM Drives Under Normal and Faulty Operating Conditions''; International Conference on Power Engineering, Energy and Electrical Drives, Lisbon, Portugal, pp. 455-460, March, 2009. Cruz, S. M. A.; Ferreira, M.; Cardoso, A. J. M.: ''Output Error Voltages - A First Method to Detect and Locate Faults in Matrix Converters''; Annual Conference of the IEEE Industrial Electronics Society, Orlando, USA, pp. 1319-1325, November, 2008. Amaral, A. M. R.; Cardoso, A. J. M.: ''An Automatic Technique to Obtain the Equivalent Circuit of Aluminum Electrolytic Capacitors''; Annual Conference of the IEEE Industrial Electronics Society, Orlando, USA, pp. 539-544, November, 2008. Gameiro, N. S.; Cardoso, A. J. M.: ''Fault Tolerant Power Converter for Switched Reluctance Drives''; International Conference on Electrical Machines, Vilamoura, Portugal, pp. 1-6, September, 2008. Ferreira, M.; Cruz, S. M. A.; Cardoso, A. J. M.: ''Modeling and Simulation of Matrix Converter Drives for Diagnostic Purposes''; International Conference on Electrical Machines, Vilamoura, Portugal, pp. 6, September, 2008. Flores, A. Q.; Carvalho, J. B.; Cardoso, A. J. M.: ''Mechanical Fault Detection in an Elevator by Remote Monitoring''; International Conference on Electrical Machines, Vilamoura, Portugal, pp. 5, September, 2008. Oliveira, L. M. R.; Cardoso, A. J. M.: ''Intermittent Turn-to-Turn Winding Faults Diagnosis in Power Transformers by the On-Load Exciting Current Park's Vector Approach''; International Conference on Electrical Machines, Vilamoura, Portugal, pp. 1-6, September, 2008. Cruz, S. M. A.; Stefani, A.; Filippetti, F.; Cardoso, A. J. M.: ''Diagnosis of Rotor Faults in Traction Drives for Railway Applications''; International Conference on Electrical Machines, Vilamoura, Portugal, pp. 6, September, 2008. Drif, M.; Cardoso, A. J. M.: ''On-Line Fault Diagnostics in Operating Three-Phase Induction Motors by the Active and Reactive Power Media''; International Conference on Electrical Machines, Vilamoura, Portugal, pp. 1-6, September, 2008. Estima, J. O.; Cardoso, A. J. M.: ''Performance Analysis of Permanent Magnet Synchronous Motor Drives Under Inverter Fault Conditions''; International Conference on Electrical Machines, Vilamoura, Portugal, pp. 1-6, September, 2008. Mendes, A. M. S.; Fernández, X. M. L.; Cardoso, A. J. M.: ''Thermal Evaluation of TEFC Three-Phase Induction Motors Under Different Supply Frequencies''; International Conference on Electrical Machines, Vilamoura, Portugal, pp. 6, September, 2008. Amaral, A. M. R.; Cardoso, A. J. M.: ''A Non-Invasive Technique for Fault Diagnosis of SMPS''; IEEE Annual Power Electronics Specialists Conference, Rhodes, Greece, pp. 2097-2102, June, 2008. Gameiro, N. S.; Cardoso, A. J. M.: ''Fault Tolerant Control Strategy of SRM Drives''; International Symposium on Power Electronics, Electrical Drives, Automation and Motion, Ischia, Italy, pp. 301-306, June, 2008. Drif, M.; Cardoso, A. J. M.: ''The Instantaneous Power Factor Approach for Rotor Cage Faults Diagnosis in Three-Phase Induction Motors''; International Symposium on Power Electronics, Electrical Drives, Automation and Motion, Ischia, Italy, pp. 173-178, June, 2008. Drif, M.; Cardoso, A. J. M.: ''The Instantaneous Reactive Power Approach for Rotor Cage Faults Diagnosis in Induction Motor Drives''; IEEE Annual Power Electronics Specialists Conference, Rhodes, Greece, pp. 1548-1552, June, 2008. Drif, M.; Cardoso, A. J. M.: ''Airgap Eccentricity Fault Diagnosis, in Three-Phase Induction Motors, Using the Instantaneous Power Factor Signature Analysis''; IET International Conference on Power Electronics, Machines and Drives, York, UK, pp. 587-591, April, 2008. Estima, J. O.; Cardoso, A. J. M.: ''The Occurrence of Faults in Permanent Magnet Synchronous Motor Drives and its Effects on the Power Supply Quality''; International Conference on Renewable Energies and Power Quality, Santander, Spain, pp. 1-6, March, 2008. Amaral, A. M. R.; Cardoso, A. J. M.: ''Buck Converter Simulation Technique Based on the Fourier Transform''; International Conference on Power Electronics and Drive Systems, Bangkok, Thailand, pp. 378-385, November, 2007. Amaral, A. M. R.; Buiatti, G. M.; Ribeiro, H.; Cardoso, A. J. M.: ''Using DFT to Obtain the Equivalent Circuit of Aluminum Electrolytic Capacitors''; International Conference on Power Electronics and Drive Systems, Bangkok, Thailand, pp. 434-438, November, 2007. Lima, R. J. S.; Mendes, A. M. S.; Cardoso, A. J. M.; Almeida, A. T.: ''PWM Inverters for Stand-Alone Single-Phase High Quality Power Generation''; International Conference on Electrical Power Quality and Utilisation, Barcelona, Spain, pp. 1-6, October, 2007. Buiatti, G. M.; Amaral, A. M. R.; Cardoso, A. J. M.: ''An Unified Method for Estimating the Parameters of Non-Isolated DC/DC Converters Using Continuous Time Models''; IEEE International Telecommunications Energy Conference, Rome, Italy, pp. 334-341, September / October, 2007. Amaral, A. M. R.; Cardoso, A. J. M.: ''A Switch Mode Power Supply Simulation Technique Based in Laplace Transform''; IEEE International Telecommunications Energy Conference, Rome, Italy, pp. 891-898, September / October, 2007. Buiatti, G. M.; Amaral, A. M. R.; Cardoso, A. J. M.: ''ESR Estimation Method for DC/DC Converters Through Simplified Regression Models''; IEEE Industry Applications Society Annual Meeting, New Orleans, USA, pp. 1-6, September, 2007. Buiatti, G. M.; Cruz, S. M. A.; Cardoso, A. J. M.: ''Lifetime of Film Capacitors in Single-Phase Regenerative Induction Motor Drives''; IEEE International Symposium on Diagnostics for Electrical Machines, Power Electronics & Drives, Cracow, Poland, pp. 356-362, September, 2007. Amaral, A. M. R.; Cardoso, A. J. M.: ''Fault Simulation Technique for Switch Mode Power Supplies''; International AEGEAN Conference on Electrical Machines and Power Electronics, Bodrum, Turkey, pp. 659-664, September, 2007. Cruz, S. M. A.; Cardoso, A. J. M.: ''Diagnosis of Rotor Faults in Direct and Indirect FOC Induction Motor Drives''; European Conference on Power Electronics and Applications, Aalborg, Denmark, pp. 1-10, September, 2007. Amaral, A. M. R.; Cardoso, A. J. M.: ''Using Spectral Analysis to Determine the Equivalent Circuit of the Output Filter of DC-DC Converters at Their Operating Frequency''; International AEGEAN Conference on Electrical Machines and Power Electronics, Bodrum, Turkey, pp. 671-675, September, 2007. Buiatti, G. M.; Amaral, A. M. R.; Cardoso, A. J. M.: ''Parameter Estimation of a DC/DC Buck Converter Using a Continuous Time Model''; European Conference on Power Electronics and Applications, Aalborg, Denmark, pp. 1-8, September, 2007. Jorge, A. M. M. F.; Lima, R. J. S.; Mendes, A. M. S.; Cardoso, A. J. M.: ''A Utilização de Filtros Activos de Potência em Indústrias com Múltiplos Conversores de Frequência''; Portuguese-Spanish Conference on Electrical Engineering, Funchal, Portugal, pp. 1-6, July, 2007. Estima, J. O.; Cardoso, A. J. M.; Mendes, A. M. S.: ''Simulação de um Accionamento Baseado num Motor Síncrono de Ímanes Permanentes''; Portuguese-Spanish Conference on Electrical Engineering, Funchal, Portugal, pp. 1-6, July, 2007. Flores, A. Q.; Cardoso, A. J. M.: ''Mechanical Load Diagnostics in Induction Motor Drives''; International Congress on Condition Monitoring and Diagnostic Engineering Management, Faro, Portugal, pp. 425-434, June, 2007. Gameiro, N. S.; Cardoso, A. J. M.: ''Analysis of One Phase Absence on SRM Dynamic Operation''; International Congress on Condition Monitoring and Diagnostic Engineering Management, Faro, Portugal, pp. 125-131, June, 2007. Amaral, A. M. R.; Cardoso, A. J. M.: ''Using Newton-Raphson Method to Estimate the Condition of Aluminum Electrolytic Capacitors''; IEEE International Symposium on Industrial Electronics, Vigo, Spain, pp. 827-832, June, 2007. Lima, R. J. S.; Almeida, A. T.; Mendes, A. M. S.; Cardoso, A. J. M.: ''High Power Quality System with Fuel Cell Distributed Generation - Simulation and Tests''; IEEE International Symposium on Industrial Electronics, Vigo, Spain, pp. 2697-2702, June, 2007. Cruz, S. M. A.; Cardoso, A. J. M.: ''Strategies for the Diagnosis of Rotor Faults in Vector-Controlled Induction Motor Drives''; International Congress on Condition Monitoring and Diagnostic Engineering Management, Faro, Portugal, pp. 607-615, June, 2007. Cruz, S. M. A.; Blasquez, F.; Cardoso, A. J. M.; Vengazones, C.: ''Preliminary Study on the Diagnosis of Rotor Faults in Brushless Doubly-Fed Induction Machines''; International Congress on Condition Monitoring and Diagnostic Engineering Management, Faro, Portugal, pp. 487-493, June, 2007. Lima, R. J. S.; Mendes, A. M. S.; Almeida, A. T.; Cardoso, A. J. M.: ''Comparative Performance of PWM and Resonant Inverters for Stand-Alone Single-Phase Power Generation''; International Congress on Condition Monitoring and Diagnostic Engineering Management, Faro, Portugal, pp. 187-195, June, 2007. Drif, M.; Cardoso, A. J. M.: ''Rotor Cage Fault Diagnostics in Three-Phase Induction Motors, by the Instantaneous Non-Active Power Signature Analysis''; IEEE International Symposium on Industrial Electronics, Vigo, Spain, pp. 1050-1055, June, 2007. Leite, A. V.; Teixeira, H. J. A.; Cardoso, A. J. M.; Araújo, R. M. E.: ''A Simple ESR Identification Methodology for Electrolytic Capacitors Condition Monitoring''; International Congress on Condition Monitoring and Diagnostic Engineering Management, Faro, Portugal, pp. 75-84, June, 2007. Amaral, A. M. R.; Cardoso, A. J. M.: ''Theoretical Analysis of the Behaviour of a Buck Converter in Steady State Regime''; International Congress on Condition Monitoring and Diagnostic Engineering Management, Faro, Portugal, pp. 697-706, June, 2007. Drif, M.; Cardoso, A. J. M.: ''Rotor Cage Fault Diagnosis in Three-Phase Induction Motors by the α, β Instantaneous Active Power Approach''; International Congress on Condition Monitoring and Diagnostic Engineering Management, Faro, Portugal, pp. 533-543, June, 2007. Oliveira, L. M. R.; Cardoso, A. J. M.: ''Detection of Transformer Intermittent Winding Faults by the On-Load Exciting Current Park's Vector Approach''; International Congress on Condition Monitoring and Diagnostic Engineering Management, Faro, Portugal, pp. 263-272, June, 2007. Buiatti, G. M.; Cichowski, A.; Cardoso, A. J. M.: ''Influence of the Filter Inductance on the Lifetime of MPPF Capacitors in Single-Phase PM Rectifiers''; International Congress on Condition Monitoring and Diagnostic Engineering Management, Faro, Portugal, pp. 377-386, June, 2007. Costa, F. F.; Cardoso, A. J. M.: ''A Technique for Estimating Harmonic and Inter-harmonic Frequencies''; International Congress on Condition Monitoring and Diagnostic Engineering Management, Faro, Portugal, pp. 95-103, June, 2007. Buiatti, G. M.; Amaral, A. M. R.; Cardoso, A. J. M.: ''An Online Technique for Estimating the Parameter of Passive Components in Non-Isolated DC/DC Converters''; IEEE International Symposium on Industrial Electronics, Vigo, Spain, pp. 606-610, June, 2007. Estima, J. O.; Cardoso, A. J. M.; Mendes, A. M. S.: ''Simulation of a Permanent Magnet Synchronous Motor Drive with Voltage Source Inverter Fault Diagnosis''; International Congress on Condition Monitoring and Diagnostic Engineering Management, Faro, Portugal, pp. 587-595, June, 2007. Drif, M.; Cardoso, A. J. M.: ''Rotor Cage Fault Diagnostics in Three-Phase Induction Motors, by the Instantaneous Phase-Angle Signature Analysis''; IEEE International Electric Machines and Drives Conference, Antalya, Turkey, pp. 1440-1445, May, 2007. Amaral, A. M. R.; Cardoso, A. J. M.: ''Using Fourier Analysis, to Estimate the Influence of Parasitic Elements of Aluminum Electrolytic Capacitors, in Steady Regime of Switch Mode Power Supplies''; International PCIM Conference on Power Electronics, Intelligent Motion and Power Quality, Nuremberg, Germany, pp. 1-6, May, 2007. Cruz, S. M. A.; Cardoso, A. J. M.: ''Fault Indicators for the Diagnosis of Rotor Faults in FOC Induction Motor Drives''; IEEE International Electric Machines and Drives Conference, Antalya, Turkey, pp. 1136-1141, May, 2007. Drif, M.; Cardoso, A. J. M.: ''The Use of Instantaneous Phase-Angle Signature Analysis for Airgap Eccentricity Diagnosis in Three-Phase Induction Motors''; International Conference on Power Engineering, Energy and Electrical Drives, Setúbal, Portugal, pp. 100-105, April, 2007. Costa, F. F.; Cardoso, A. J. M.; Fernandes, D. A.: ''Harmonic Analysis Based on Kalman Filtering and Prony’s Method''; International Conference on Power Engineering, Energy and Electrical Drives, Setúbal, Portugal, pp. 696-701, April, 2007. Costa, F. F.; Cardoso, A. J. M.: ''Harmonic and Inter-harmonic Identification Based on Improved Prony’s Method''; Annual Conference of the IEEE Industrial Electronics Society, Paris, France, pp. 1047-1052, November, 2006. Cruz, S. M. A.; Cardoso, A. J. M.: ''Diagnosis of Rotor Faults in Closed-Loop Induction Motor Drives''; IEEE Industry Applications Society Annual Meeting, Tampa, USA, pp. 1-8, October, 2006. Drif, M.; Cardoso, A. J. M.: ''Instantaneous Real Power Signature Analysis as a Tool for Airgap Eccentricity Diagnostics in Three-Phase Induction Motors''; International Conference on Electrical Machines, Chania, Greece, pp. 1-6, September, 2006. Cruz, S. M. A.; Cardoso, A. J. M.: ''Analysis and Diagnosis of Rotor Faults in High-Performance Induction Motor Drives''; International Conference on Electrical Machines, Chania, Greece, pp. 1-6, September, 2006. Alcaso, A. N.; Cardoso, A. J. M.: ''Active Harmonic Filter Behaviour in a Twelve-Pulse Front-End Rectifier''; International Conference on Power Electronics Machines and Drives, Chania, Greece, pp. 1-5, September, 2006. Vieira, A. C. V.; Cardoso, A. J. M.: ''Facilities Asset Management in Portuguese Universities - The Case of the University of Coimbra''; International Congress on Condition Monitoring and Diagnostic Engineering Management, Luleå, Sweden, pp. 209-218, June, 2006. Drif, M.; Cardoso, A. J. M.: ''Airgap Eccentricity Fault Diagnosis, in Three-Phase Induction Motors, by the Complex Apparent Power Signature Analysis''; International Symposium on Power Electronics, Electrical Drives, Automation and Motion, Taormina, Italy, pp. S35-18-22, May, 2006. Amaral, A. M. R.; Cardoso, A. J. M.: ''An Experimental Technique for Estimating the ESR and Reactance Intrinsic Values of Aluminum Electrolytic Capacitors''; IEEE Instrumentation and Measurement Technology Conference, Sorrento, Italy, pp. 1820-1825, April, 2006. Drif, M.; Cardoso, A. J. M.: ''Airgap Eccentricity Fault Diagnosis, in Three-Phase Induction Motors, by the Instantaneous Power Signature Analysis''; International Conference on Power Electronics Machines and Drives, Dublin, Ireland, pp. 349-353, April, 2006. Amaral, A. M. R.; Cardoso, A. J. M.: ''An Experimental Technique for Estimating the Aluminum Electrolytic Capacitor Equivalent Circuit at High Frequencies''; International Conference on Power Electronics Machines and Drives, Hong Kong, Hong Kong, pp. 86-91, December, 2005. Amaral, A. M. R.; Cardoso, A. J. M.: ''An ESR Meter for High Frequencies''; International Conference on Power Electronics Machines and Drives, Kuala Lumpur, Malaysia, pp. 1628-1633, November / December, 2005. Silva, J. L. H.; Cardoso, A. J. M.: ''Bearing Failures Diagnosis in Three-Phase Induction Motors by Extended Park’s Vector Approach''; Annual Conference of the IEEE Industrial Electronics Society, Raleigh, USA, pp. 2591-2596, November, 2005. Drif, M.; Cardoso, A. J. M.: ''Instantaneous Power Signature Analysis for Detecting Airgap Eccentricity in Three-Phase Induction Motors''; International Conference on Power Electronics Machines and Drives, Oran, Algeria, pp. 1-7, November, 2005. Amaral, A. M. R.; Cardoso, A. J. M.: ''Using a CLC Low-Pass Filter to Reduce the Consequences of Aging in Steady-State Regime of DC-DC Converters''; European Conference on Power Electronics and Applications, Dresden, Germany, pp. 1-10, September, 2005. Alcaso, A. N.; Cardoso, A. J. M.: ''Condition Monitoring and Diagnostics of Twelve-Pulse LCI Drive Systems''; IEEE International Symposium on Diagnostics for Electrical Machines, Power Electronics & Drives, Vienna, Austria, pp. 1-5, September, 2005. Silva, J. L. H.; Cardoso, A. J. M.: ''Diagnóstico de Avarias nos Rolamentos de Motores de Indução Trifásicos''; Spanish-Portuguese Conference in Electrical Engineering, Marbella, Spain, pp. 1-7, June / July, 2005. Alcaso, A. N.; Cardoso, A. J. M.: ''Power Supply Harmonic Filter Behaviour in a Twelve-Pulse LCI Drive System Under Power Converter Faults''; IEEE Annual Power Electronics Specialists Conference, Recife, Brazil, pp. 2893-2897, June, 2005. Mendes, A. M. S.; Fernández, X. M. L.; Cardoso, A. J. M.: ''Thermal Performance of a Three-Phase Induction Motor Under Fault Tolerant Operating Strategies''; IEEE Annual Power Electronics Specialists Conference, Recife, Brazil, pp. 2886-2892, June, 2005. Mendes, A. M. S.; Fernández, X. M. L.; Cardoso, A. J. M.: ''Thermal Behaviour of a Three-Phase Induction Motor Fed by a Fault Tolerant Voltage Source Inverter''; IEEE International Electric Machines and Drives Conference, San Antonio, USA, pp. 23-28, May, 2005. Amaral, A. M. R.; Cardoso, A. J. M.: ''Modeling and Design Step-Down DC-DC Converters Operating in DCM''; Conference on Telecommunications, Tomar, Portugal, pp. 1-4, April, 2005. Alcaso, A. N.; Cardoso, A. J. M.: ''Power Supply Quality Analysis in a Twelve-Pulse LCI Drive System Under Compensated Fault-Mode Operation''; Applied Power Electronics Conference and Exposition, Austin, USA, pp. 1959-1963, March, 2005. Oliveira, L. M. R.; Cardoso, A. J. M.: ''Incipient Turn-To-Turn Winding Fault Diagnosis of Power Transformers by the On-Load Exciting Current Extended Park’s Vector Approach''; Advanced Research Workshop on Transformers, Vigo, Spain, pp. 134-139, October, 2004. Alcaso, A. N.; Cardoso, A. J. M.: ''Electromechanical Characteristics Improvement in a Twelve-Pulse LCI Drive System under Faulty Operating Conditions''; International Conference on Electrical Machines, Cracow, Poland, pp. 1-5, September, 2004. Amaral, A. M. R.; Cardoso, A. J. M.: ''The Consequences of Aging of Electrolytic Capacitors, Used in DC-DC Converters, Under Steady-State Operating Conditions''; EPE International Power Electronics and Motion Control Conference, Riga, Latvia, pp. 1-6, September, 2004. Mendes, A. M. S.; Cardoso, A. J. M.: ''Fault Tolerant Operating Strategies Applied to Three-Phase Induction Motor Drives''; International Conference on Electrical Machines, Cracow, Poland, pp. 1-6, September, 2004. Vieira, A. C. V.; Cardoso, A. J. M.: ''Maintenance Requirements of a School Building and its Influence on the Maintenance Program''; International Congress on Condition Monitoring and Diagnostic Engineering Management, Cambridge, UK, pp. 533-542, August, 2004. Cruz, S. M. A.; Cardoso, A. J. M.: ''The Method of Multiple Reference Frames Applied to the Diagnosis of Stator Faults in Three-Phase Induction Motors''; International Power Electronics and Motion Control Conference, Xi’an, China, pp. 603-609, August, 2004. Cardoso, A. J. M.: ''Condition Monitoring and Diagnostic Trends in Electromecatronics''; International Congress on Condition Monitoring and Diagnostic Engineering Management, Cambridge, UK, pp. 11-16, August, 2004. Esteves, M. A. M.; Cardoso, A. J. M.: ''An Instrumentation System for On-Line Winding Fault Diagnosis of Three-Phase Power Transformers''; IASTED International Conference on Power and Energy Systems, Rhodes, Greece, pp. 632-637, June, 2004. Alcaso, A. N.; Cardoso, A. J. M.: ''Asymmetrical Operation of a Twelve-Pulse LCI Drive System with Power Converter Faults''; IEEE Annual Power Electronics Specialists Conference, Aachen, Germany, pp. 4378-4382, June, 2004. Vieira, A. C. V.; Cardoso, A. J. M.: ''Some Improvements on the Maintenance Management of a School Building as the Result of a Maintenance Management Audit''; European Maintenance Congress, Barcelona, Spain, pp. 71-78, May, 2004. Amaral, A. M. R.; Cardoso, A. J. M.: ''Using Output Voltage and Current to Predict Failures in Switch-Mode Power Supplies Operating in Discontinuous Mode''; International PCIM Conference on Power Electronics, Intelligent Motion and Power Quality, Nuremberg, Germany, pp. 1-6, May, 2004. Amaral, A. M. R.; Cardoso, A. J. M.: ''ESR Influence, Under Steady-State Operating Conditions, in Buck-Boost Switch-Mode Power Supplies''; International AEGEAN Conference on Electrical Machines and Power Electronics, Istanbul, Turkey, pp. 117-122, May, 2004. Amaral, A. M. R.; Cardoso, A. J. M.: ''Use of ESR to Predict Failure of Output Filtering Capacitors in Boost Converters''; IEEE International Symposium on Industrial Electronics, Ajaccio, France, pp. 1309-1314, May, 2004. Amaral, A. M. R.; Cardoso, A. J. M.: ''Fault Diagnosis on Switch-Mode Power Supplies Operating in Discontinuous Mode''; IEE International Conference on Power Electronics and Variable Speed Drives, Edinburgh, UK, pp. 197-202, March / April, 2004. Alcaso, A. N.; Cardoso, A. J. M.: ''Fault Mode Operation of a Twelve-Pulse LCI Drive System and Improvement of Electromechanical Torque Characteristics''; International Conference on Power Electronics Machines and Drives, Edinburgh, England, pp. 1-5, March / April, 2004. Alcaso, A. N.; Cardoso, A. J. M.: ''Remedial Operating Strategies for a Twelve-Pulse LCI Drive System''; IEEE International Conference on Industrial Technology, Maribor, Slovenia, pp. 619-624, December, 2003. Cruz, S. M. A.; Cardoso, A. J. M.; Toliyat, H. A.: ''New Developments in the Diagnosis of Faults in Line-Connected and Direct Torque Controlled Induction Motors''; IEEE Industrial Electronics Society Annual Conference, Roanoke, USA, pp. 1361-1368, November, 2003. Cruz, S. M. A.; Cardoso, A. J. M.: ''Diagnosis of Stator Inter-Turn Short Circuits in DTC Induction Motor Drives''; IEEE Industry Applications Society Annual Meeting, Salt Lake City, USA, pp. 1-8, October, 2003. Cruz, S. M. A.; Cardoso, A. J. M.; Toliyat, H. A.: ''Diagnosis of Stator, Rotor and Airgap Eccentricity Faults in Three-Phase Induction Motors Based on the Multiple Reference Frames Theory''; IEEE Industry Applications Society Annual Meeting, Salt Lake City, USA, pp. 1-7, October, 2003. Cruz, S. M. A.; Cardoso, A. J. M.: ''Modelling and Simulation of DTC Induction Motor Drives for Stator Winding Faults Diagnosis''; European Conference on Power Electronics and Applications, Toulouse, France, pp. 1-10, September, 2003. Mendes, A. M. S.; Cardoso, A. J. M.: ''Performance Analysis of Three-Phase Induction Motor Drives Under Inverter Fault Conditions''; IEEE International Symposium on Diagnostics for Electrical Machines, Power Electronics & Drives, Atlanta, USA, pp. 205-210, August, 2003. Cruz, S. M. A.; Toliyat, H. A.; Cardoso, A. J. M.: ''DSP Implementation of the Multiple Reference Frames Theory for the Diagnosis of Stator Faults in a DTC Induction Motor Drive''; IEEE International Symposium on Diagnostics for Electrical Machines, Power Electronics & Drives, Atlanta, USA, pp. 223-228, August, 2003. Vieira, A. C. V.; Cardoso, A. J. M.: ''Maintenance Audit of a School Building''; International Congress on Condition Monitoring and Diagnostic Engineering Management, Växjö, Sweden, pp. 79-87, August, 2003. Cruz, S. M. A.; Cardoso, A. J. M.: ''Referenciais Múltiplos: Um Novo Método de Diagnóstico de Avarias no Estator de Motores de Indução Trifásicos''; Congresso Luso Espanhol de Engenharia Electrotécnica, Vilamoura, Portugal, pp. 6.239-6.24, July, 2003. Oliveira, L. M. R.; Cardoso, A. J. M.: ''Parameters determination for the coupled electromagnetic transformer model, with particular reference to winding faults studies''; Congresso Luso Espanhol de Engenharia Electrotécnica, Vilamoura, Portugal, pp. 6.333-6.33, July, 2003. Mendes, A. M. S.; Cardoso, A. J. M.: ''Motor de Indução Trifásico Alimentado por um Variador Electrónico de Velocidade Tolerante a Falhas''; Congresso Luso Espanhol de Engenharia Electrotécnica, Vilamoura, Portugal, pp. 6.127-6.13, July, 2003. Gameiro, N. S.; Cardoso, A. J. M.: ''Simulação do Comportamento Dinâmico do Motor de Relutância Variável Comutado''; Congresso Luso Espanhol de Engenharia Electrotécnica, Vilamoura, Portugal, pp. 6.175-6.18, July, 2003. Esteves, M. A. M.; Cardoso, A. J. M.: ''Remote Monitoring System for Winding Fault Diagnosis in Three-Phase Power Transformers''; Congresso Luso Espanhol de Engenharia Electrotécnica, Vilamoura, Portugal, pp. 6.193-6.19, July, 2003. Alcaso, A. N.; Cardoso, A. J. M.: ''Modelling and Simulation of LCI Drive Systems under Normal and Faulty Operating Conditions''; Congresso Luso Espanhol de Engenharia Electrotécnica, Guarda, Portugal, pp. 1-5, July, 2003. Cruz, S. M. A.; Cardoso, A. J. M.: ''Continuous Operation Performance of Faulty Induction Motor Drives''; IEEE International Electric Machines and Drives Conference, Madison, USA, pp. 547-553, June, 2003. Gameiro, N. S.; Cardoso, A. J. M.: ''Analysis of SRM Drives Behaviour Under the Occurrence of Power Converter Faults''; International Conference on Power Electronics Machines and Drives, Rio de Janeiro, Brazil, pp. 1-5, June, 2003. Amaral, A. M. R.; Cardoso, A. J. M.: ''Diagnóstico de Avarias em Fontes de Alimentação Comutadas''; Conference on Telecommunications, Aveiro, Portugal, pp. 395-398, June, 2003. Alcaso, A. N.; Cardoso, A. J. M.: ''The Occurrence of Faults in LCI Drive Systems and its Effects on the Power Supply Quality''; International Conference on Renewable Energies and Power Quality, Vigo, Spain, pp. 1-6, April, 2003. Oliveira, L. M. R.; Cardoso, A. J. M.; Cruz, S. M. A.: ''Transformers On-Load Exciting Current Park’s Vector Approach as a Tool for Winding Faults Diagnostics''; International Conference on Electrical Machines, Brugge, Belgium, pp. 1-6, August, 2002. Cruz, S. M. A.; Cardoso, A. J. M.: ''Modelling and Simulation of Stator Winding Faults in Three-Phase Induction Motors, Including Rotor Skin Effect''; International Conference on Electrical Machines, Brugge, Belgium, pp. 1-6, August, 2002. Oliveira, L. M. R.; Cardoso, A. J. M.: ''On-Line Diagnostics of Transformer Winding Insulation Failures, by Park’s Vector Approach''; International Electrical Insulation Conference, Berlin, Germany, pp. 16-21, June, 2002. Mendes, A. M. S.; Cardoso, A. J. M.: ''Remedial Operating Strategies for Standard 3-Phase Induction Motor Drives''; International Conference on Power Electronics Machines and Drives, Bath, UK, pp. 116-121, April, 2002. Cruz, S. M. A.; Cardoso, A. J. M.: ''Further Developments on the Use of Synchronous Reference Frame Current Park’s Vector Approach''; IEEE International Symposium on Diagnostics for Electrical Machines, Power Electronics & Drives, Grado, Italy, pp. 467-472, September, 2001. Oliveira, L. M. R.; Cardoso, A. J. M.; Cruz, S. M. A.: ''A Coupled Electromagnetic Transformer Model for the Analysis of Winding Inter-Turn Short-Circuits''; IEEE International Symposium on Diagnostics for Electrical Machines, Power Electronics & Drives, Grado, Italy, pp. 367-372, September, 2001. Cruz, S. M. A.; Cardoso, A. J. M.: ''Rotor Cage Fault Diagnosis in Operating Three-Phase Induction Motors, Under the Presence of Time-Varying Loads''; European Conference on Power Electronics and Applications, Graz, Austria, pp. 1-11, August, 2001. Cruz, S. M. A.; Cardoso, A. J. M.: ''Stator Winding Fault Diagnosis in Three-Phase Synchronous and Asynchronous Motors, by the Extended Park’s Vector Approach''; IEEE Industry Applications Conference, Rome, Italy, pp. 1-7, October, 2000. Oliveira, L. M. R.; Cardoso, A. J. M.: ''Three-Phase, Three-Limb, Steady-State Transformer Model: The Case of a Ynzn Connection''; IASTED International Conference on Power and Energy Systems, Marbell, Spain, pp. 467-472, September, 2000. Cruz, S. M. A.; Cardoso, A. J. M.: ''Rotor Cage Fault Diagnosis in Three-Phase Induction Motors, by the Synchronous Reference Frame Current Park’s Vector Approach''; International Conference on Electrical Machines, Espoo, Finland, pp. 776-780, August, 2000. Cruz, S. M. A.; Cardoso, A. J. M.: ''Rotor Cage Fault Diagnosis in Three-Phase Induction Motors by the Total Instantaneous Power Spectral Analysis''; IEEE Industry Applications Society Annual Meeting, Arizona, USA, pp. 1929-1934, October, 1999. Mendes, A. M. S.; Cardoso, A. J. M.: ''Fault Diagnosis in a Rectifier-Inverter System Used in Variable Speed AC Drives, by the Average Current Park’s Vector Approach''; European Conference on Power Electronics and Applications, Lausanne, Switzerland, pp. 1-9, September, 1999. Cardoso, A. J. M.; Mendes, A. M. S.; Cruz, S. M. A.: ''The Park’s Vector Approach: New Developments in On-Line Fault Diagnosis of Electrical Machines, Power Electronics and Adjustable Speed Drives''; IEEE International Symposium on Diagnostics for Electrical Machines, Power Electronics & Drives, Gijón, Spain, pp. 89-97, September, 1999. Oliveira, L. M. R.; Cardoso, A. J. M.: ''Modelling and Simulation of Three-Phase Power Transformers''; International Conference ELECTRIMACS, Lisboa, Portugal, pp. 257-262, September, 1999. Mendes, A. M. S.; Cardoso, A. J. M.: ''Fault Diagnosis in a Rectifier-Inverter System Used in Variable Speed AC Drives, by Park’s Vector Approach''; IEEE International Symposium on Diagnostics for Electrical Machines, Power Electronics & Drives, Gijón, Spain, pp. 99-103, September, 1999. Cruz, S. M. A.; Cardoso, A. J. M.: ''Rotor Cage Fault Diagnosis in Voltage Source Inverter-Fed Induction Motors, by the Extended Park’s Vector Approach''; IEEE International Symposium on Diagnostics for Electrical Machines, Power Electronics & Drives, Gijón, Spain, pp. 105-110, September, 1999. Mendes, A. M. S.; Cardoso, A. J. M.: ''On-Line Diagnostics of Three-Phase Thyristor-Controlled Rectifiers, in Telecommunications Power Supply Systems, by the Average Current Park’s Vector Approach''; IEEE International Telecommunications Energy Conference, Copenhagen, Denmark, pp. 1-4, June, 1999. Mendes, A. M. S.; Cardoso, A. J. M.: ''Voltage Source Inverter Fault Diagnosis in Variable Speed AC Drives, by the Average Current Park’s Vector Approach''; IEEE International Electric Machines and Drives Conference, Seattle, USA, pp. 704-706, May, 1999. Cardoso, A. J. M.; Oliveira, L. M. R.: ''Condition Monitoring and Diagnostics of Power Transformers''; International Congress on Condition Monitoring and Diagnostic Engineering Management, Launceston, Australia, pp. 591-599, December, 1998. Cruz, S. M. A.; Cardoso, A. J. M.: ''Rotor Cage Fault Diagnosis in Three-Phase Induction Motors, by Extended Park’s Vector Approach''; International Conference on Electrical Machines, Istanbul, Turkey, pp. 1844-1848, September, 1998. Mendes, A. M. S.; Cardoso, A. J. M.; Saraiva, E. S.: ''Voltage Source Inverter Fault Diagnosis in Variable Speed AC Drives, by Park’s Vector Approach''; IEE International Conference on Power Electronics and Variable Speed Drives, London, UK, pp. 538-543, September, 1998. Carvalheiro, J. M. N.; Gonçalves, M.; Cardoso, A. J. M.: ''The Use of an Unified Diagnostic Approach to Predict the Operating Deterioration of Three-Phase Induction Motors''; IEE/IMechE International Conference on Power Station Maintenance: Profitability Through Reliability, Edinburgh, UK, pp. 157-160, March / April, 1998. Cardoso, A. J. M.: ''The Park’s Vector Approach: A General Tool for Diagnostics of Electrical Machines, Power Electronics and Adjustable Speed Drives''; IEEE International Symposium on Diagnostics for Electrical Machines, Power Electronics & Drives, Carry-le-Rouet, France, pp. 261-269, September, 1997. Cardoso, A. J. M.; Mendes, A. M. S.: ''Converter Fault Diagnosis in Variable Speed DC Drives, by Park’s Vector Approach''; IEEE International Symposium on Industrial Electronics, Guimarães, Portugal, pp. 497-500, July, 1997. Cardoso, A. J. M.; Cruz, S. M. A.; Fonseca, D. S. B.: ''Inter-turn stator winding fault diagnosis in three-phase induction motors, by Parks Vector approach''; International Conference on Power Electronics Machines and Drives, Milwankee, USA, pp. MB1-5.1-3, May, 1997. Cardoso, A. J. M.; Mendes, A. M. S.: ''On-Line Diagnostics of Three-Phase Diode Rectifiers, by Park’s Vector Approach''; International Conference on Electrical Machines, Vigo, Spain, pp. 433-438, September, 1996. Cardoso, A. J. M.; Mendes, A. M. S.: ''Semi-Converter Fault Diagnosis in DC Motor Drives, by Park’s Vector Approach''; IEE International Conference on Power Electronics and Variable Speed Drives, Nottingham, UK, pp. 93-98, September, 1996. Cardoso, A. J. M.; Cruz, S. M. A.; Carvalho, J. F. S.; Saraiva, E. S.: ''Rotor Cage Fault Diagnosis in Three-Phase Induction Motors, by Park’s Vector Approach''; IEEE Industry Applications Society Annual Meeting, Orlando, USA, pp. 642-646, October, 1995. Cardoso, A. J. M.; Saraiva, E. S.: ''Predicting the Level of Airgap Eccentricity in Operating Three-Phase Induction Motors, by Park’s Vector Approach''; IEEE Industry Applications Society Annual Meeting, Houston, USA, pp. 132-135, October, 1992. Cardoso, A. J. M.; Saraiva, E. S.: ''A Model for Predicting the Level of Airgap Eccentricity in Three-Phase Induction Motors: The Case of Sinusoidally Distributed Windings''; International Conference on Electrical Machines, Manchester, UK, pp. 667-671, September, 1992. Cardoso, A. J. M.; Saraiva, E. S.: ''Computer Aided Detection of Airgap Eccentricity in Operating Three-Phase Induction Motors, by Park’s Vector Approach''; IEEE Industry Applications Society Annual Meeting, Dearborn, USA, pp. 94-98, September / October, 1991. Cardoso, A. J. M.; Saraiva, E. S.; Mateus, M. L. S.; Ramalho, A. L.: ''On-Line Detection of Airgap Eccentricity in 3-Phase Induction Motors, by Park’s Vector Approach''; IEE International Conference on Power Electronics and Variable Speed Drives, London, UK, pp. 61-66, September, 1991. Cardoso, A. J. M.; Saraiva, E. S.: ''The Use of the Park’s Vector in the Diagnosis of Faults on Three-Phase Semi-Converters''; International AMSE Conference “Modeling & Simulation”, Greensboro, USA, pp. 81-92, October, 1990. Cardoso, A. J. M.; Saraiva, E. S.: ''Condition Monitoring of Current Source Inverter-Fed Induction Machines''; Conference on Power Electronics and Motion Control, Budapest, Hungary, pp. 744-748, October, 1990. Cardoso, A. J. M.; Saraiva, E. S.: ''Fault Diagnosis in Electrical Drives and Systems''; Electrical Drive Symposium, Capri, Italy, pp. 71-77, September, 1990. Cardoso, A. J. M.; Saraiva, E. S.: ''On-Line Diagnostics of Current Source Inverter-Fed Induction Machines, by Park’s Vector Approach''; International Conference on Electrical Machines, Cambridge, USA, pp. 1000-1005, August, 1990. Cardoso, A. J. M.; Saraiva, E. S.: ''Condition Monitoring of Variable Speed Drive Systems''; International Conference on Power Electronics Machines and Drives, London, UK, pp. 519-522, July, 1990. Cardoso, A. J. M.; Saraiva, E. S.: ''A Importância da Manutenção no Âmbito das Máquinas Eléctricas Rotativas. Síntese de Alguns Estudos Estatísticos de Fiabilidade''; International Conference on Power Electronics Machines and Drives, Lisbon, Portugal, pp. 1-5, October, 1989. Cardoso, A. J. M.; Saraiva, E. S.: ''On-Line Diagnostics of Power Electronics Apparatus''; International Symposium on Electric Energy Conversion in Power Systems, Capri, Italy, pp. W-R.1/1-4, May, 1989. Cardoso, A. J. M.; Saraiva, E. S.: ''On-Line Condition Monitoring of Kinetic-Electronic Systems''; Mediterranean Electrotechnical Conference, Lisbon, Portugal, pp. 65-68, April, 1989. Cardoso, A. J. M.; Saraiva, E. S.: ''On-Line Diagnostics of Three-Phase Induction Motors, by Park’s Vector''; International Conference on Electrical Machines, Pisa, Italy, pp. 231-234, September, 1988. Cardoso, A. J. M.; Saraiva, E. S.: ''The Use of Park’s Vector in the Detection of Electrical Failures on Three-Phase Induction Motors''; International AMSE Conference “Modeling & Simulation”, Cairo, Egypt, pp. 99-109, March, 1987. Mahmoudi, A.; Yahia, K.; Cardoso, A. J. M.: ''Wind Turbine System Using Synchronous Reluctance Generator Self-Excited in Stand Alone Mode''; Conferência Científica e Tecnológica em Engenharia, Batna, Algeria, pp. , June, 2018. Pérez, A. A.; Vieira, A. C. V.; Cardoso, A. J. M.: ''Organização e Gestão da Manutenção de Elementos Contra Incêndios em Edifícios Escolares''; Congresso Nacional de Manutenção, Figueira da Foz, Portugal, pp. 14, November, 2009. Vieira, A. C. V.; Cardoso, A. J. M.: ''Organização e Gestão da Manutenção de Instituições de Ensino''; Congresso Nacional de Manutenção, Lisboa, Portugal, pp. 1-12, November, 2005. Marques, N. J. M. O.; Santos, S. L.; Cardoso, A. J. M.: ''Diagnóstico e Análise de Desequilíbrios de Fase em Geradores Síncronos Trifásicos''; Conferência Sobre Energias Renováveis e Ambiente em Portugal, Figueira da Foz, Portugal, pp. 1-6, May, 2005. Lopes, N. M. L. V.; Cardoso, A. J. M.: ''Modelação e Simulação de um Sistema de Conversão de Energia Eólica de Velocidade Variável''; Simpósio Sobre Energias Renováveis em Portugal, Figueira da Foz, Portugal, pp. 1-5, May, 2004. Amaral, A. M. R.; Cardoso, A. J. M.: ''Diagnóstico de Avarias em Conversores DC-DC''; Encontro Nacional do Colégio de Engenharia Electrotécnica da Ordem dos Engenheiros, Lisboa, Portugal, pp. 1-8, May, 2003. Gameiro, N. S.; Cardoso, A. J. M.: ''Modelação e Simulação do Motor de Relutância Variável Comutado''; Conferência Científica e Tecnológica em Engenharia, Lisboa, Portugal, pp. 1-8, May, 2002. Ribeiro, P. P.; Cardoso, A. J. M.; Cruz, S. M. A.; Mendes, A. M. S.: ''Cooperação Universidade-Indústria no Âmbito do Diagnóstico de Avarias em Máquinas Eléctricas Rotativas''; Congresso Nacional de Manutenção Industrial, Viseu, Portugal, pp. 839-851, April, 2002. Oliveira, L. M. R.; Cardoso, A. J. M.: ''Diagnóstico de Avarias de Transformadores Trifásicos em Serviço Através da Análise do Vector de Park das Correntes de Excitação em Carga''; Congresso Nacional de Manutenção, Viseu, Portugal, pp. 853-866, April, 2002. Fonseca, D. S. B.; Cardoso, A. J. M.; Cabrita, C. M. P.: ''O Motor de Relutância Variável Comutado e a Tolerância a Falhas''; Conferência de Engenharia - Inovação e Desenvolvimento, Covilhã, Portugal, pp. 349-355, November, 2001. Cardoso, A. J. M.; Mendes, A. M. S.: ''Thyristor-Controlled-Rectifiers Fault Diagnosis in Telecommunications Power Supply Systems, by Park’s Vector Approach''; Conferência Nacional de Telecomunicações, Aveiro, Portugal, pp. 475-478, April, 1997. Mendes, A. M. S.; Cardoso, A. J. M.: ''Manutenção de Equipamentos Trifásicos de Electrónica de Potência''; Congresso Nacional de Manutenção Industrial, Figueira da Foz, Portugal, pp. 1-9, October, 1996. Cruz, S. M. A.; Cardoso, A. J. M.: ''Diagnóstico de Avarias no Rotor de Motores de Indução Trifásicos''; Congresso Nacional de Manutenção Industrial, Figueira da Foz, Portugal, pp. 1-8, October, 1996. Cruz, S. M. A.; Cardoso, A. J. M.: ''Diagnóstico da Ocorrência de Fracturas na Gaiola Rotórica de Motores de Indução Trifásicos''; Encontro Nacional do Colégio de Engenharia Electrotécnica da Ordem dos Engenheiros, Lisboa, Portugal, pp. 215-220, December, 1995. Cardoso, A. J. M.; Saraiva, E. S.; Mendes, A. M. S.; Carvalheiro, J. M. N.; Ribeiro, P. P.: ''Cooperação Universidade-Indústria no Âmbito da Manutenção Industrial - Abordagem de um Caso Específico''; Congresso Nacional de Manutenção Industrial, Porto, Portugal, pp. 1-9, November, 1994. Carvalho, J. F. S.; Cardoso, A. J. M.; Saraiva, E. S.: ''Modelização de Motores de Indução Trifásicos com Gaiola Rotórica Fracturada''; Encontro Português de Controlo Automático, Lisboa, Portugal, pp. 117-122, September, 1994. Carvalho, J. F. S.; Cardoso, A. J. M.; Saraiva, E. S.: ''Simulação de Motores de Indução Trifásicos com Gaiola Rotórica Fracturada''; Encontro Nacional do Colégio de Engenharia Electrotécnica da Ordem dos Engenheiros, Lisboa, Portugal, pp. 143-148, May, 1994. Cardoso, A. J. M.; Saraiva, E. S.: ''Diagnóstico de Avarias em Máquinas Eléctricas Rotativas e Electrónica de Potência''; Congresso da Ordem dos Engenheiros, Porto, Portugal, pp. 1-18, January, 1988. Cardoso, A. J. M.; Saraiva, E. S.: ''Manutenção de Máquinas Eléctricas: Alguns Métodos de Detecção e Identificação de Avarias''; Congresso Nacional de Manutenção Industrial, Lisboa, Portugal, pp. 1-8, May, 1987. Cardoso, A. J. M.; Saraiva, E. S.: ''Aplicação da Transformada Complexa Espacial na Detecção de Avarias Eléctricas em Motores de Indução Trifásicos''; Congresso da Ordem dos Engenheiros, Lisboa, Portugal, pp. 281-297, November, 1986. Ananias C. P. Muxiri, ''Thermal Analysis of an Induction Motor Subjected to Short-Circuit Failures between Turns of the Stator Windings (in Portuguese)'', Supervisor: Cardoso, A. J. M., Co-Supervisor: Fonseca, D. S. B., University of Beira Interior, Portugal, 2018. Scarfiello, D., ''Revamping and Energy Efficiency Upgrading of a Spa Compound'', Supervisor: Chiara Boccaletti, Co-Supervisor: Cardoso, A. J. M., Sapienza University of Rome, Italy, 2018. Fidalgo, J., ''Load Control and Management of Energy Storage Systems in Electric Vehicles with DC-DC Converters'', Supervisor: Cardoso, A. J. M., University of Beira Interior, Portugal, 2017. Santiago, F., ''Study of the Thermal Behavior of a Three-Phase Induction Motor, Under the Presence of Faults'', Supervisor: Cardoso, A. J. M., Co-Supervisor: Monteiro, J. P., University of Beira Interior, Portugal, 2017. Martin, F., ''Energy Auditing and Design Improvements of a Spa Compound - Case Study: Cró Hotel & Thermal Spa'', Supervisor: Chiara Boccaletti, Co-Supervisor: Cardoso, A. J. M., Sapienza University of Rome, Italy, 2017. De Lorenzo, M., ''A Fault-Tolerant Cascaded Boost Converter for PV Applications'', Supervisor: Chiara Boccaletti, Co-Supervisor: Cardoso, A. J. M., Sapienza University of Rome, Italy, 2017. Sales, S., ''Analysis of the Thermal/Cooling Performance of Electric Motors (in Portuguese)'', Supervisor: Cardoso, A. J. M., Co-Supervisor: Monteiro, J. P., University of Beira Interior, Portugal, 2016. Elsayed, W. M., ''Supercapacitors as an Energy Storage System for Electric/Hybrid Vehicles'', Supervisor: Chiara Boccaletti, Co-Supervisor: Cardoso, A. J. M., Sapienza University of Rome, Italy, 2016. Machado, M., ''Physical Assets Management Application to Covilhã’s Adega Cooperativa (in Portuguese)'', Supervisor: Cardoso, A. J. M., University of Beira Interior, Portugal, 2016. Bento, F. J. F., ''Fault Tolerant DC-DC Converters'', Supervisor: Cardoso, A. J. M., University of Beira Interior, Portugal, 2016. Gómez, M., ''Theoretical Study and Experimental Analysis Of The Maximum Power Point Tracking For Wind Turbine System'', Supervisor: Chiara Boccaletti, Co-Supervisor: Cardoso, A. J. M., Sapienza University of Rome, Italy, 2015. Moscatiello, C., ''Theoretical Study and Experimental Analysis Of A Thermal-Photovoltaic Panel'', Supervisor: Chiara Boccaletti, Co-Supervisor: Cardoso, A. J. M., Sapienza University of Rome, Italy, 2015. Madeiras, A. J. C., ''Flywheels as a Storage Device in Electric/Hybrid Vehicles'', Supervisor: Cardoso, A. J. M., Co-Supervisor: Estima, J. O., University of Beira Interior, Portugal, 2015. Monteiro, A. I. T., ''Development and Implementation of Control Algorithms for Low Cost Wind Turbines (in Portuguese)'', Supervisor: Cardoso, A. J. M., University of Beira Interior, Portugal, 2014. Gaspar, J. F., ''Permanent Magnet Synchronous Generator for Wind Microgeneration: Design, Construction and Testing (in Portuguese)'', Supervisor: Fonseca, D. S. B., Co-Supervisor: Cardoso, A. J. M., University of Beira Interior, Portugal, 2014. Matos, D. M. B., ''Synchronous Reluctance Motors Vector Control (in Portuguese)'', Supervisor: Cardoso, A. J. M., University of Beira Interior, Portugal, 2014. Santos, B. M. G., ''Diagnosis and Fault Analysis in Permanent Magnet Synchronous Generator Applied to Wind Turbines (in Portuguese)'', Supervisor: Fonseca, D. S. B., Co-Supervisor: Cardoso, A. J. M., University of Beira Interior, Portugal, 2012. Pereira, M. F., ''Topologies Based on Electrical Drives with Permanent Magnet Synchronous Motors for Electric / Hybrid Vehicles'', Co-Supervisor: Cardoso, A. J. M., University of Coimbra, Portugal, 2012. Vieira, A. C. V., ''Maintenance Management and Organization of Educational Facilities (in Portuguese)'', Supervisor: Cardoso, A. J. M., University of Coimbra, Portugal, 2014. Oliveira, L. M. R., ''Development of Fault Detection Methods and Protection Algorithms for Application in Continuous Monitoring Systems of Three-Phase Power Transformers (in Portuguese)'', Supervisor: Cardoso, A. J. M., University of Coimbra, Portugal, 2014. Gameiro, N. S., ''Fault Tolerance in Switched Reluctance Motors (in Portuguese)'', Supervisor: Cardoso, A. J. M., University of Coimbra, Portugal, 2014. Freire, N. M. A., ''Fault-Tolerant Permanent Magnet Synchronous Generator Drives for Wind Turbine Applications'', Supervisor: Cardoso, A. J. M., University of Coimbra, Portugal, 2014. Ribeiro, E. F. F., ''Fault Diagnosis in Energy Systems for Telecommunications'', Supervisor: Cardoso, A. J. M., University of Coimbra, Portugal, 2014. Flores, A. Q., ''The Use of the Induction Motor in the Fault Diagnosis of Coupled Loads (in Portuguese)'', Supervisor: Cardoso, A. J. M., University of Coimbra, Portugal, 2013. Yahia, K., ''Contribution to the Diagnosis of Three-Phase Asynchronous Machine by Model Approach (in French)'', Co-Supervisor: Cardoso, A. J. M., Université Mohamed Khider, Algeria, 2012. Estima, J. O., ''Development and Analysis of Permanent Magnet Synchronous Motor Drives with Fully Integrated Inverter Fault-Tolerant Capabilities'', Supervisor: Cardoso, A. J. M., University of Coimbra, Portugal, 2012. Amaral, A. M. R., ''Measurement Techniques for Characterizing the Aluminum Electrolytic Capacitors Equivalent Circuit (in Portugueses)'', Supervisor: Cardoso, A. J. M., University of Coimbra, Portugal, 2010. Drif, M., ''Windings Fault Diagnosis by the Power Signature Analysis (in French)'', Supervisor: Cardoso, A. J. M., University of Coimbra, Portugal, 2009. Mendes, A. M. S., ''Performance Analysis of the Three-Phase Induction Motor Fed by a Fault Tolerant Voltage Source Inverter'', Supervisor: Cardoso, A. J. M., University of Coimbra, Portugal, 2005. Alcaso, A. N., ''Fault Tolerance in Electromechatronics Systems Based on Current Source Inverters with Load Commutation'', Supervisor: Cardoso, A. J. M., Universidade de Coimbra, Portugal, 2005. Cruz, S. M. A., ''Stator Winding Diagnosis and Fault Analysis in Three-Phase Induction Motors by the Multiple Reference Frames Method (in Portuguese)'', Supervisor: Cardoso, A. J. M., University of Coimbra, Portugal, 2004. “Certificate of Recognition” by “IEEE Industrial Electronics Society, in recognition and appreciation for his services as Associate Editor of the IEEE Transactions on Industrial Electronics, and for his timely contributions to its positive impacts on the scientific community”. Certificate of "IAS Executive Board Member, Member-at-Large 2012-2015, in grateful recognition for devoted service to the growth and progress of the IEEE Industry Applications Society”. "Fellow Member", Portuguese Engineers Association. "Best Paper Award (in the field of Energy)”, 4th Doctoral Conference on Computing, Electrical and Industrial Systems, Caparica, Lisbon, Portugal. "Best Paper Award”, 12th Portuguese-Spanish Conference on Electrical Engineering, Ponta Delgada, Açores, Portugal. “Session’s Best Paper Award”, International Multi-Conference on Complexity, Informatics and Cybernetics, Orlando, Florida, USA. “Best Poster Award”, 18th International Conference on Electrical Machines, Vilamoura, Portugal. Title of "Honorary Professor" of the Albert Schweitzer International University”, Geneva, Switzerland. “Senior Member” of the “Institute of Electrical and Electronics Engineers” (IEEE), “in recognition of professional standing”. "Senior Member", Portuguese Engineers Association.